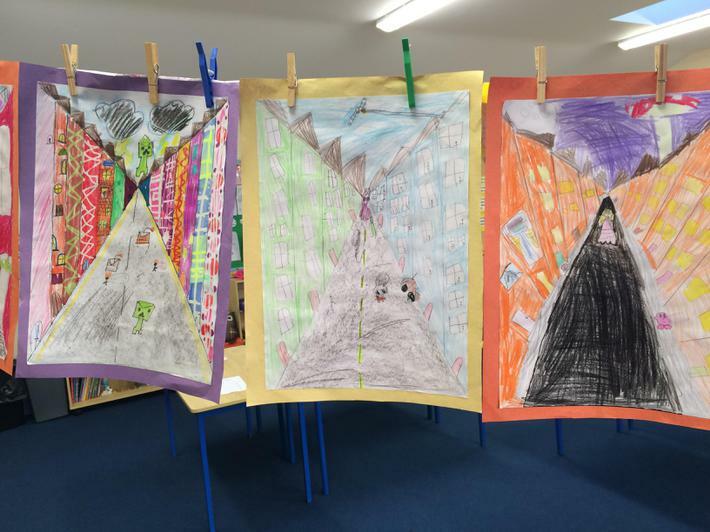 Exploring Perspective- AHHHH There's a monster in the city! 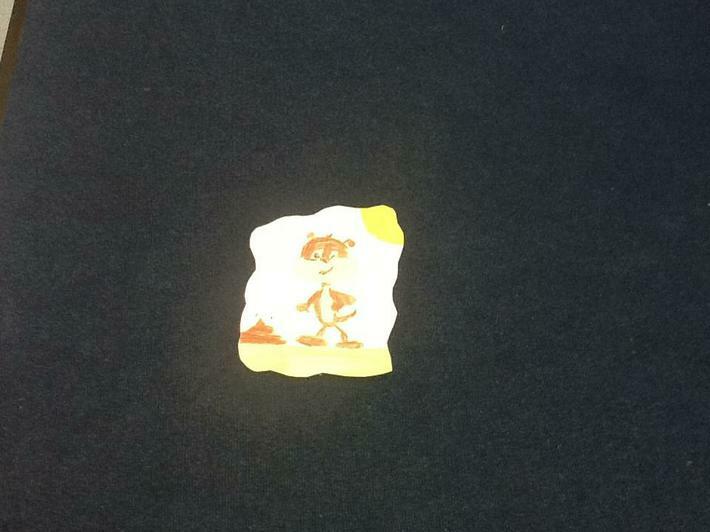 Today we explored what happens when we try to mix water and oil together. 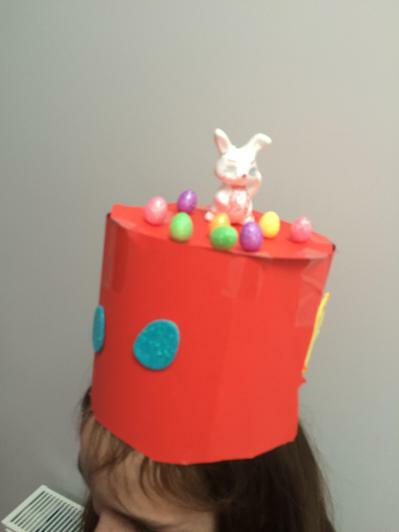 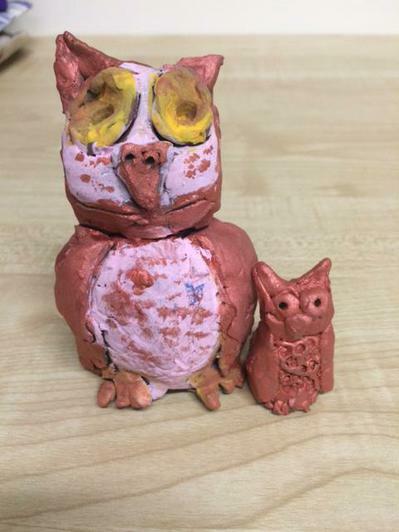 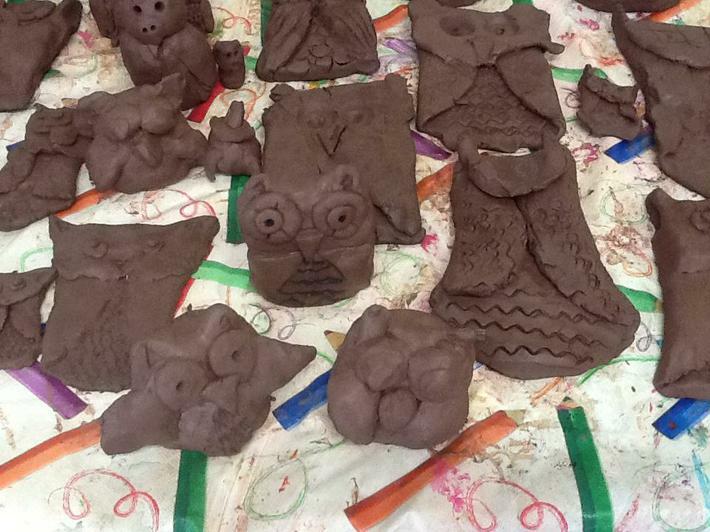 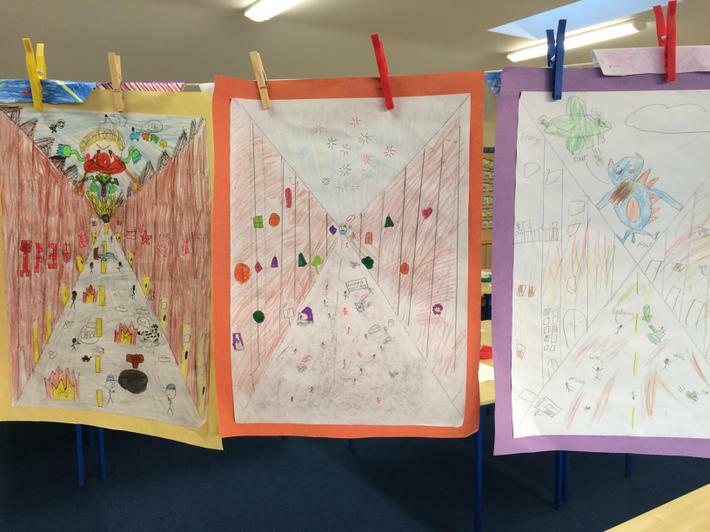 We created some fantastic designs! 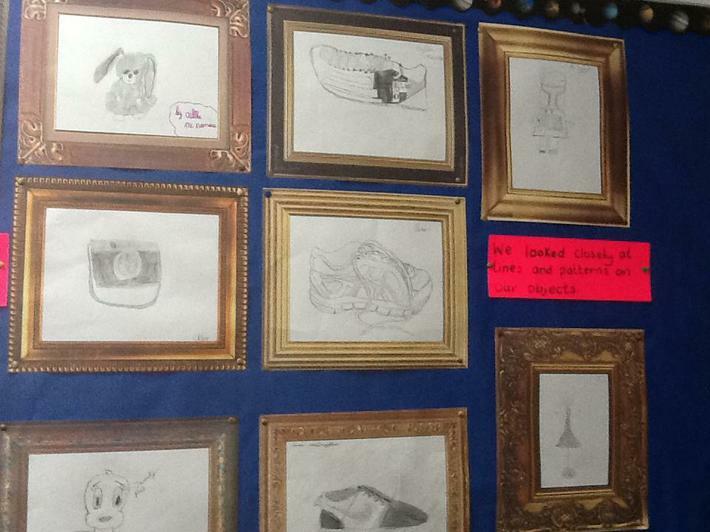 We noticed that no two patterns are were the same- every picture is unique! 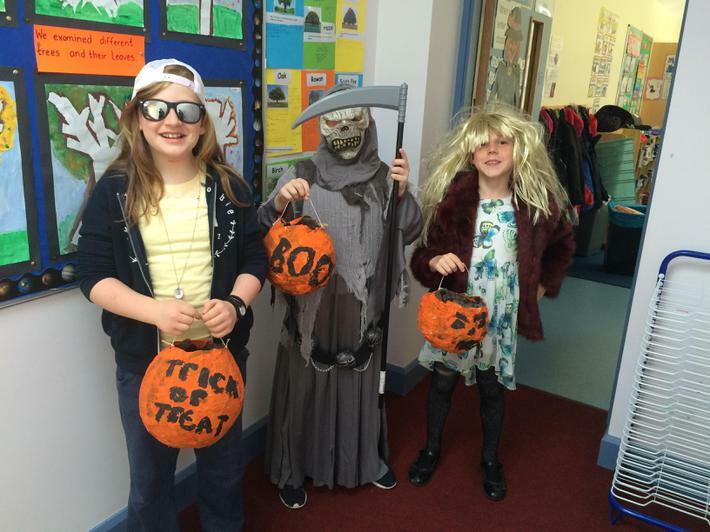 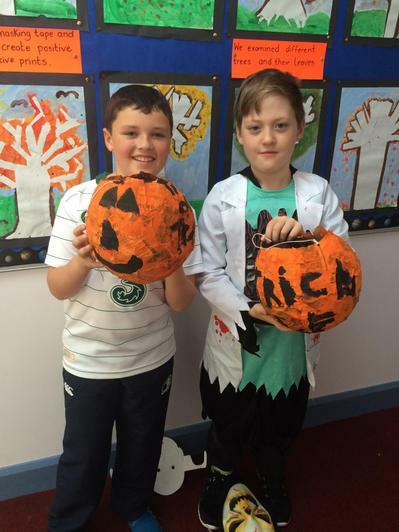 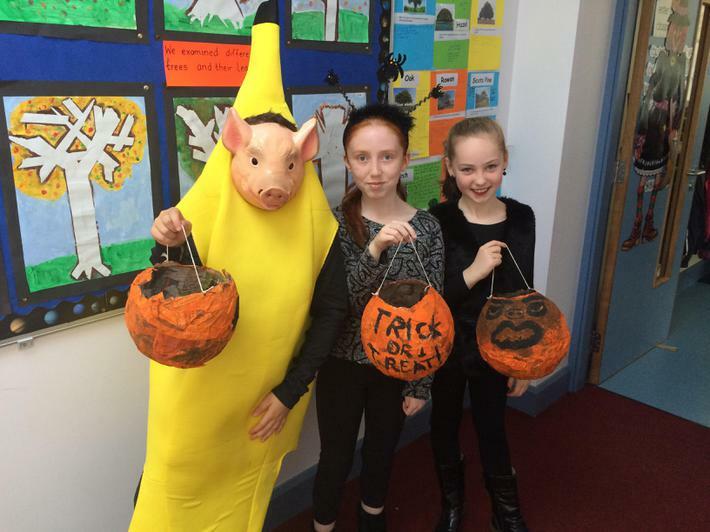 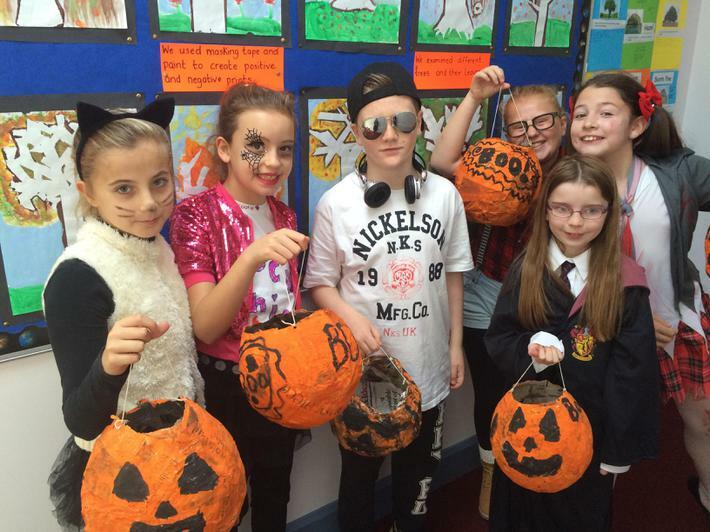 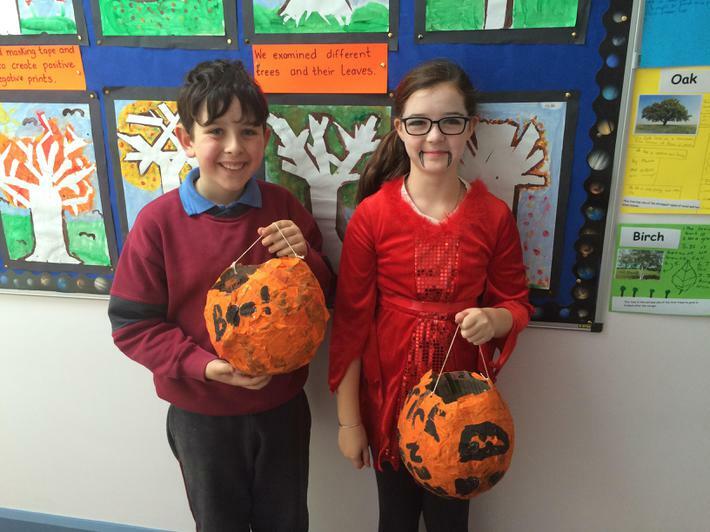 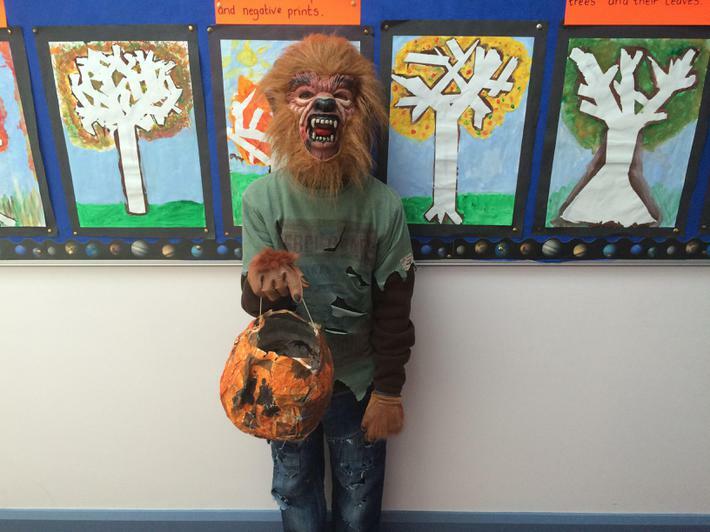 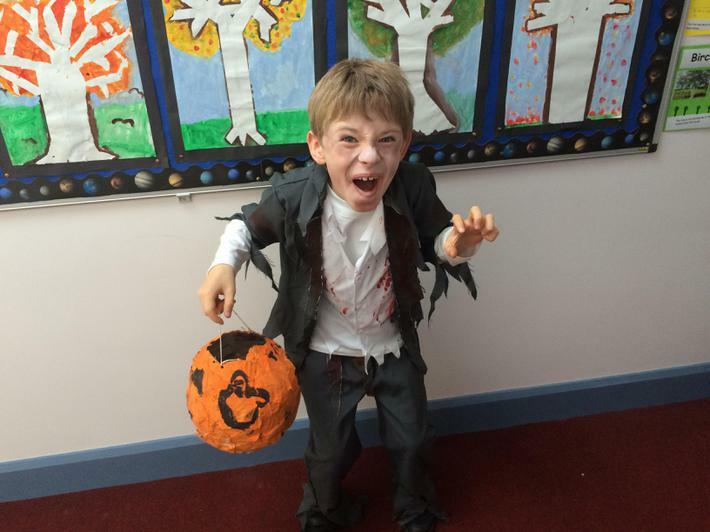 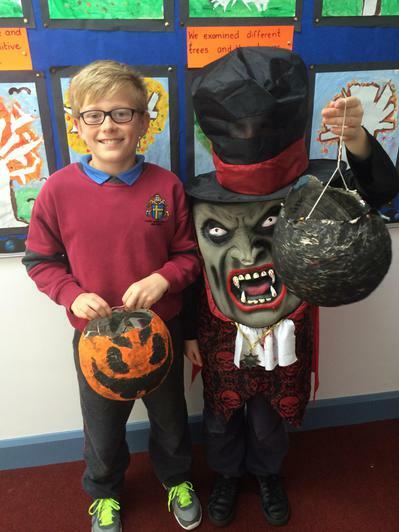 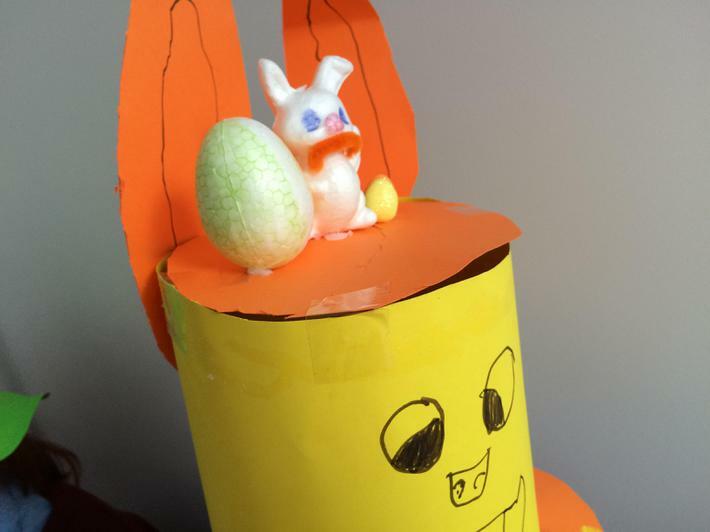 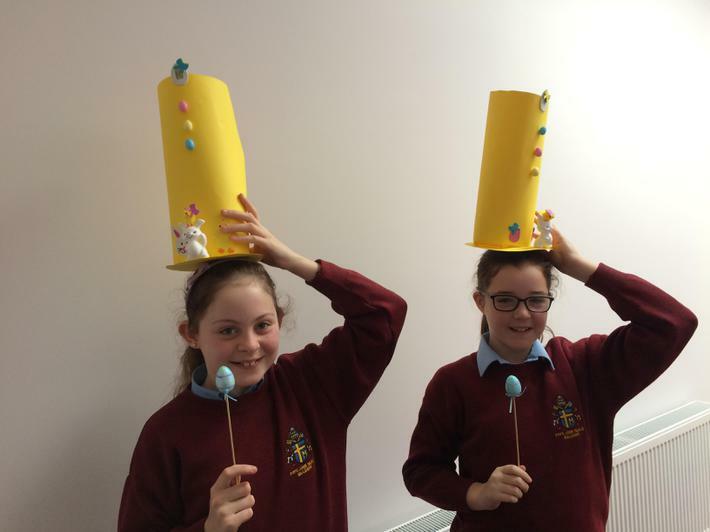 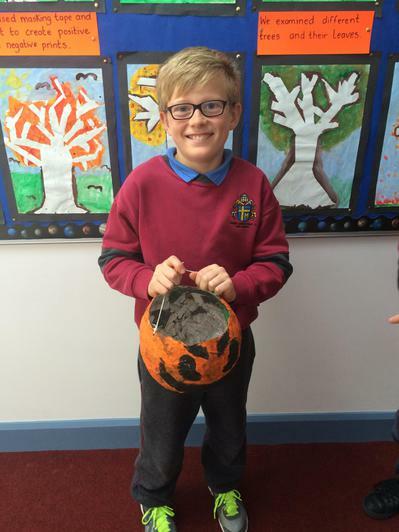 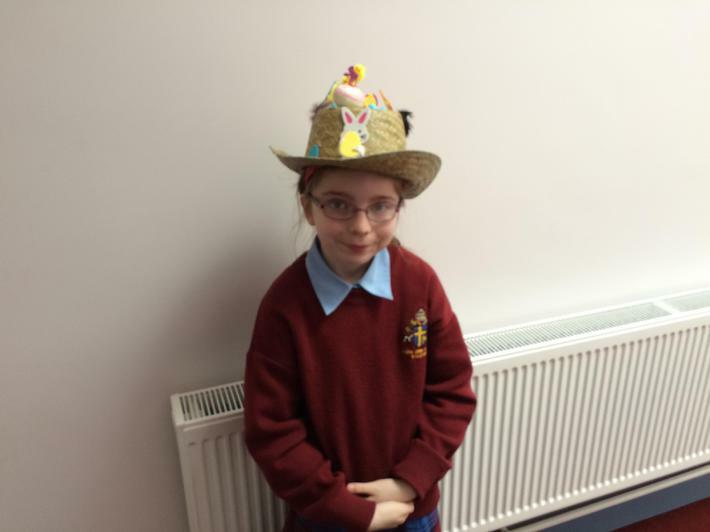 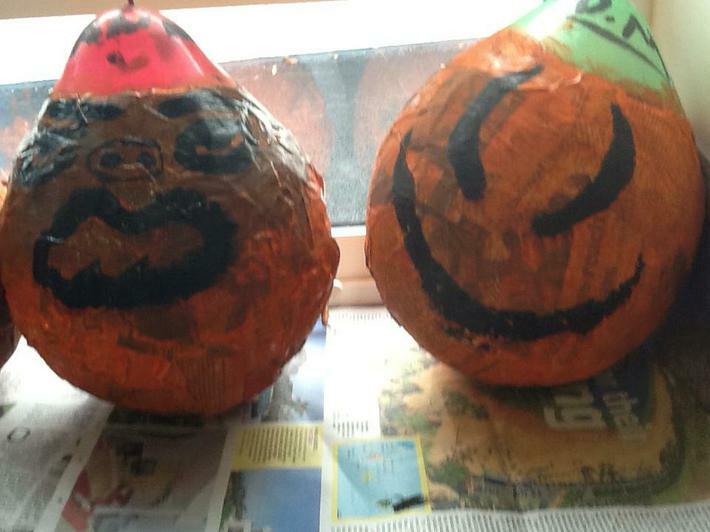 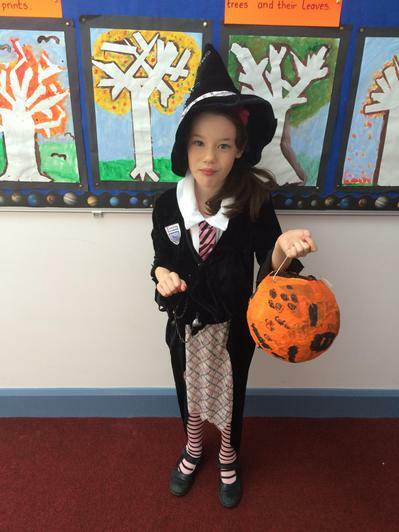 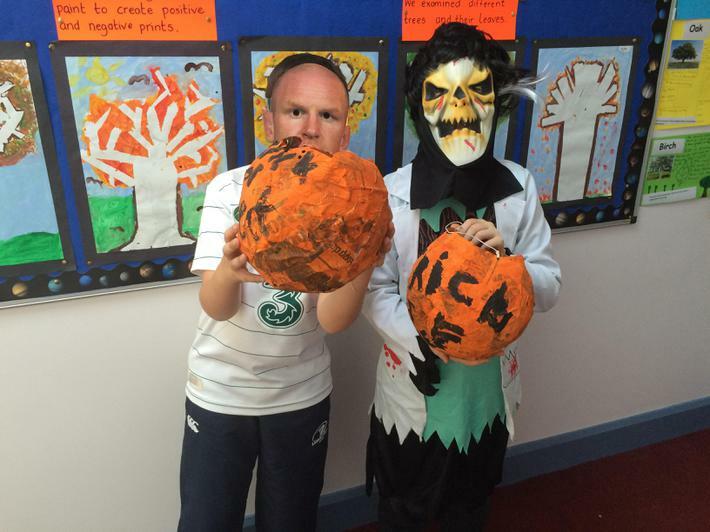 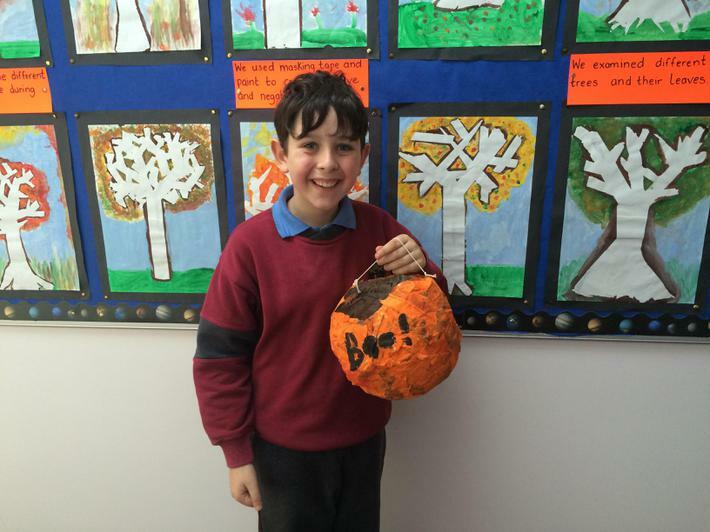 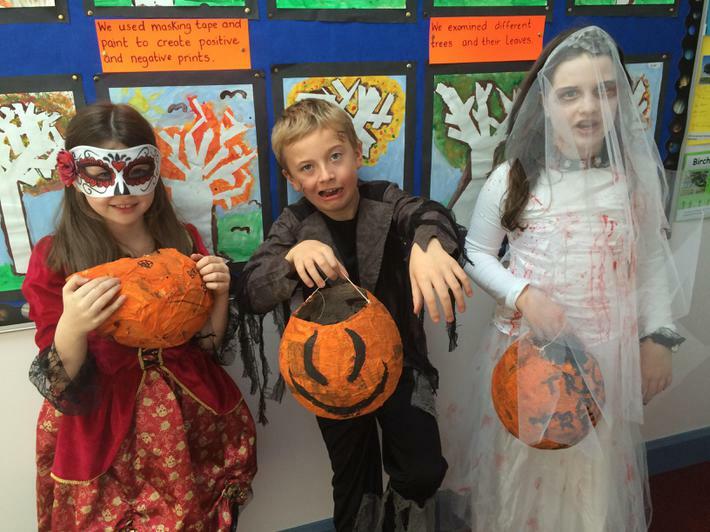 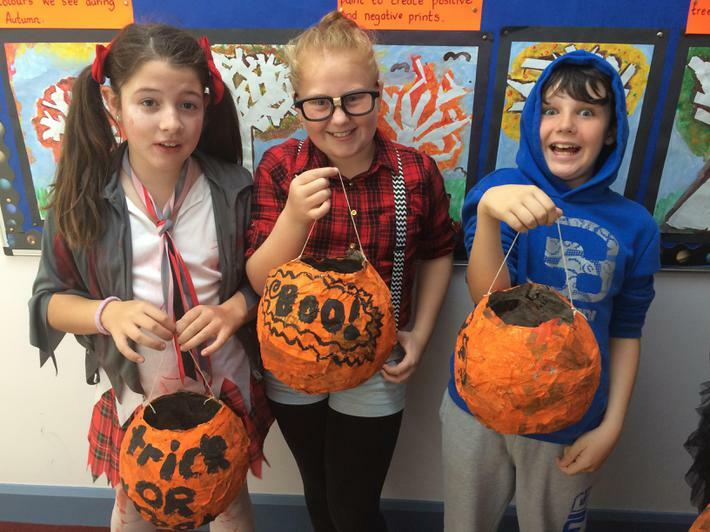 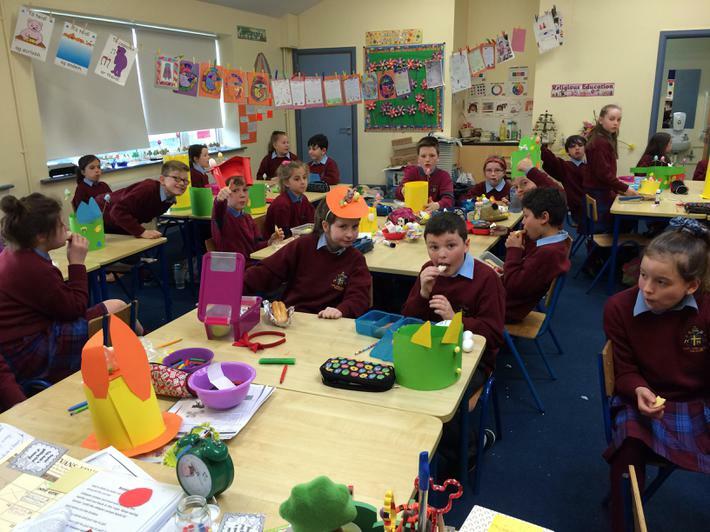 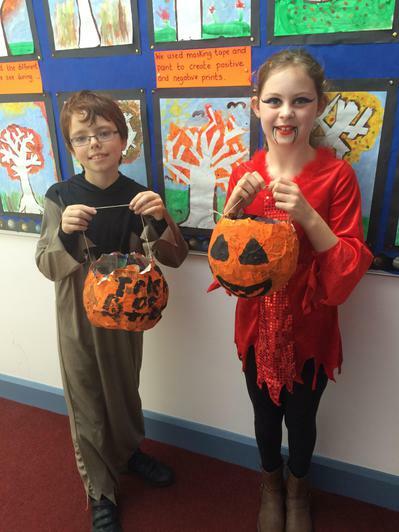 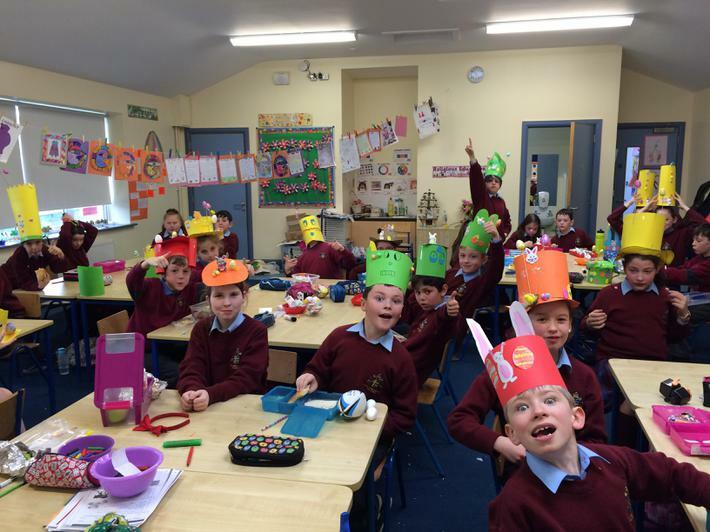 Over the last three weeks, Ms Meehan has taught us how to use the 'paper mache' technique to create these lovely Halloween Trick or Treat baskets. 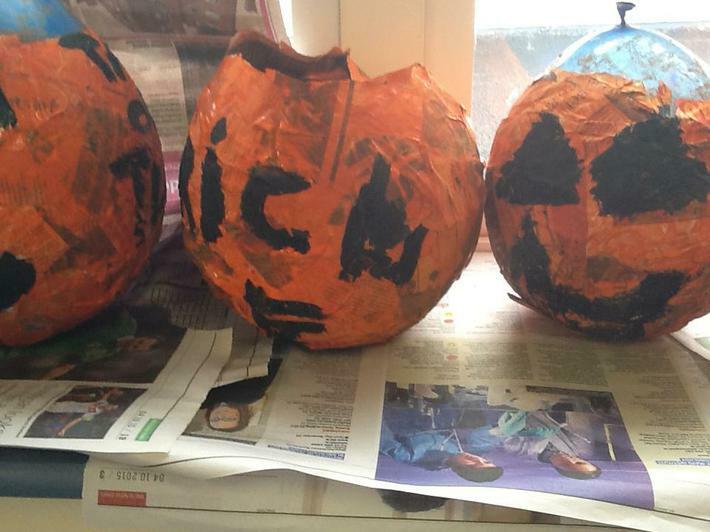 We still have to add some handles but so far we think they look great ! 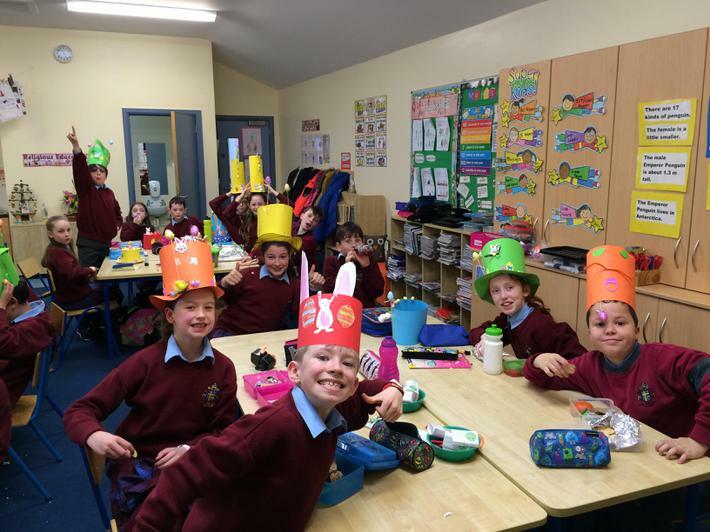 We discussed the All Ireland Final and what it means in Ireland. 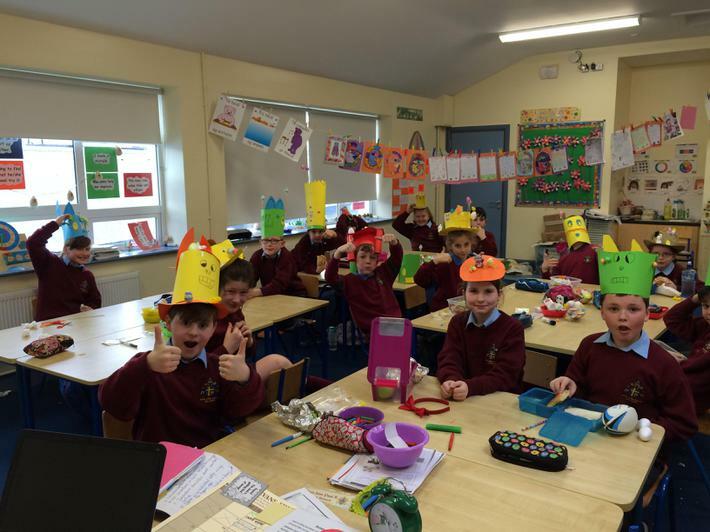 Together , we brainstormed everything that comes to mind when we hear the words 'All Ireland' and wrote them on the IWB. 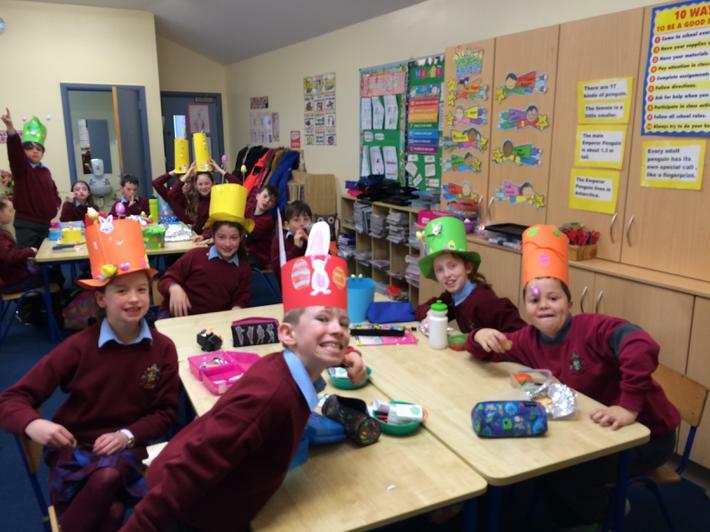 There were some great suggestions from our class from 'hurling, football and camogie' to 'eating Tayto crisps ' in the stands! 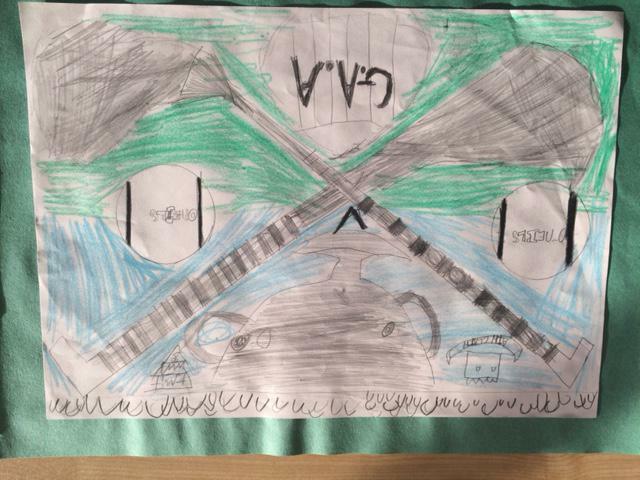 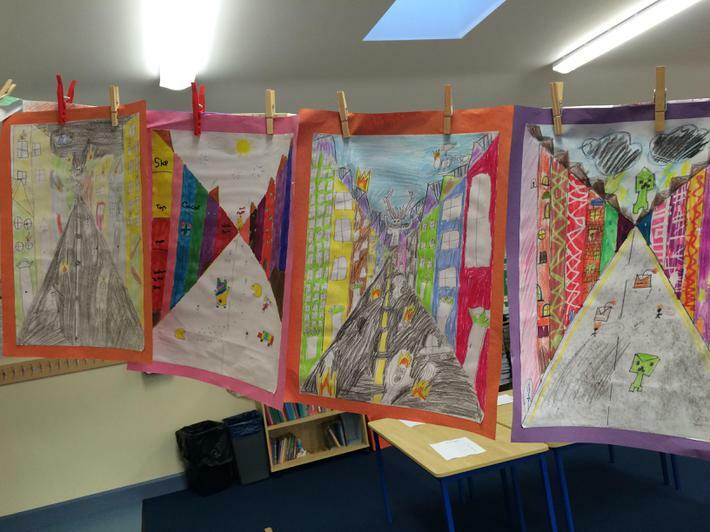 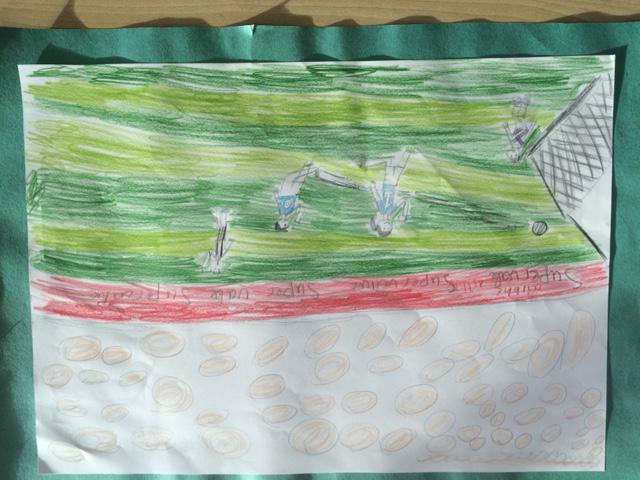 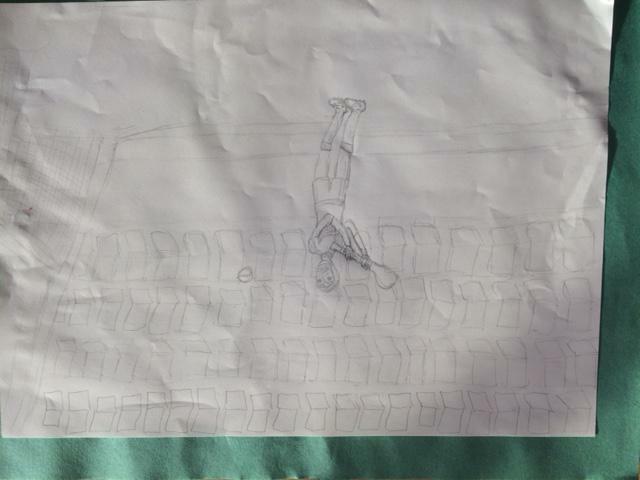 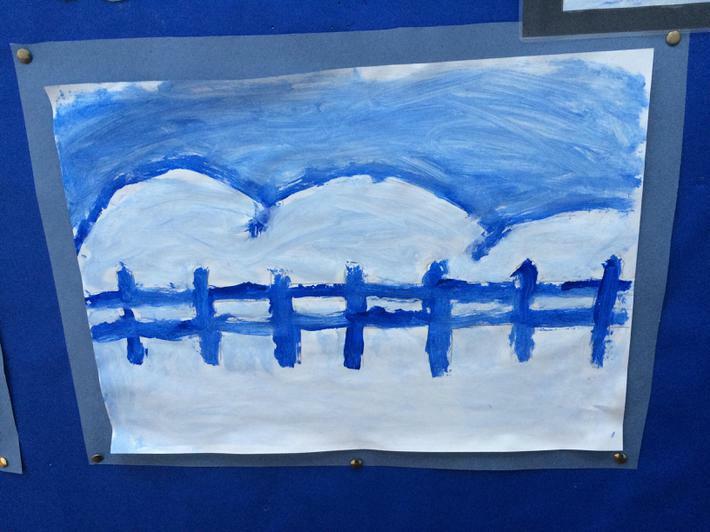 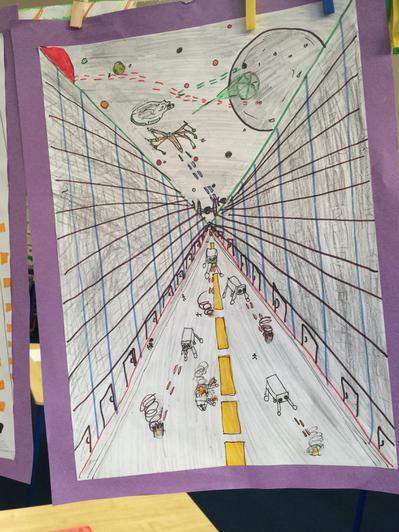 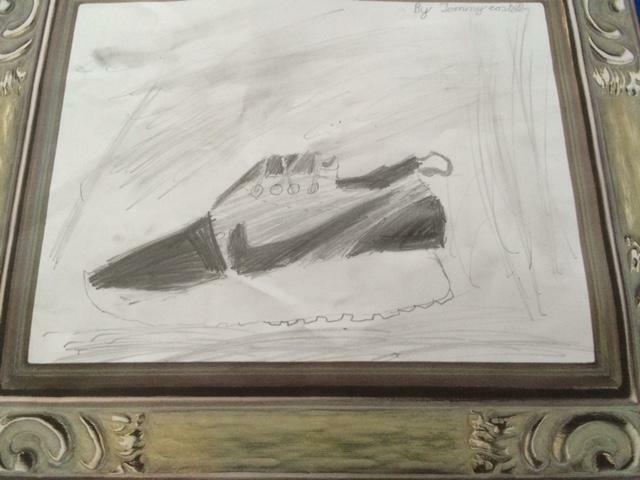 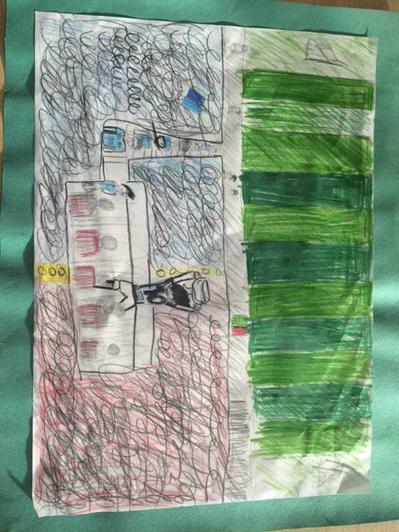 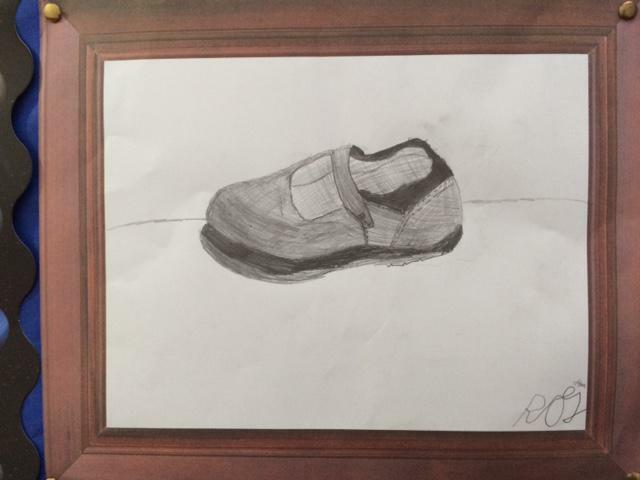 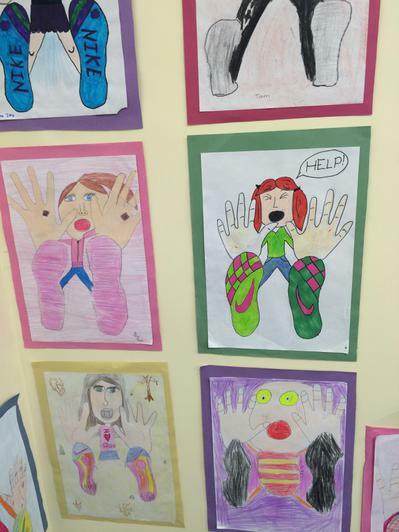 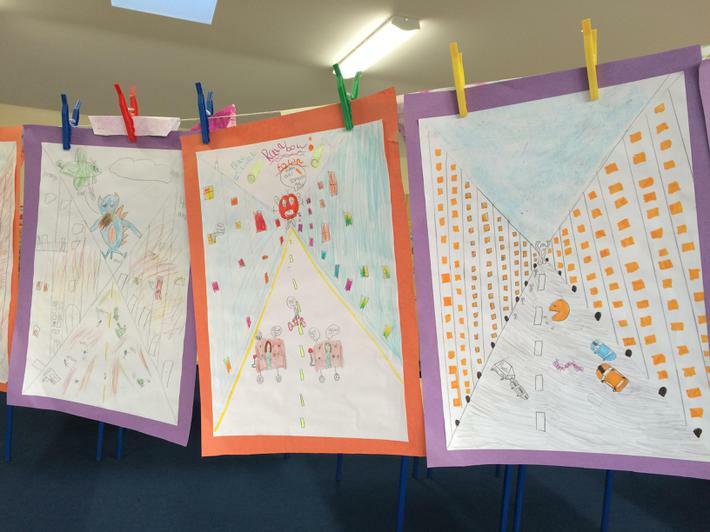 The children thought of every angle of Croke Park. 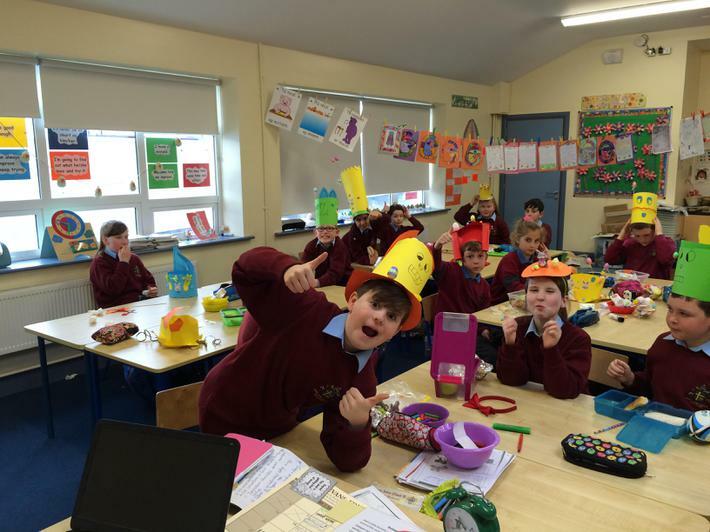 We then studied some pictures of past days in Croke Park on Google Images. 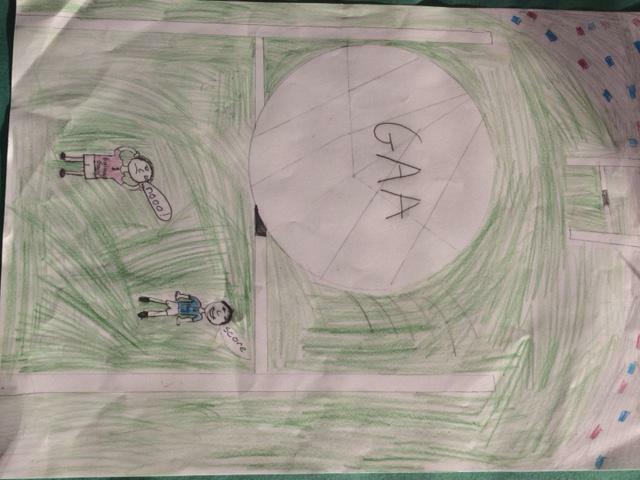 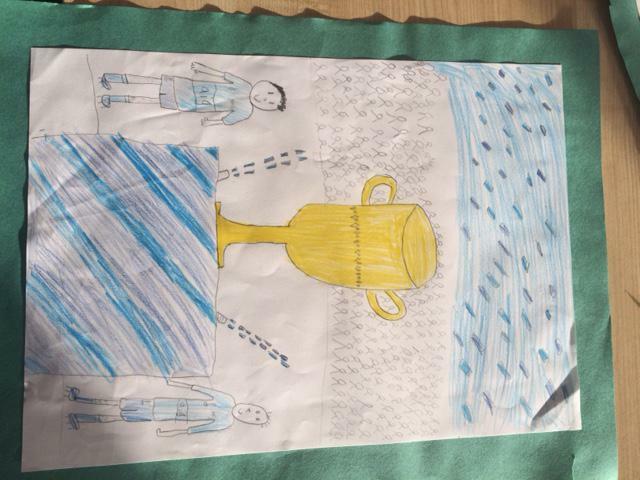 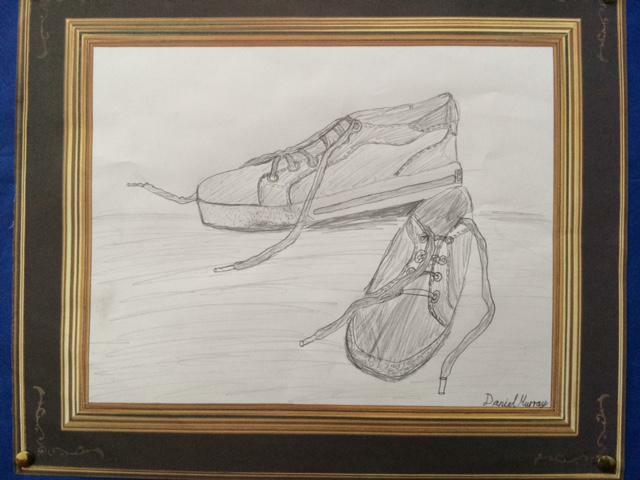 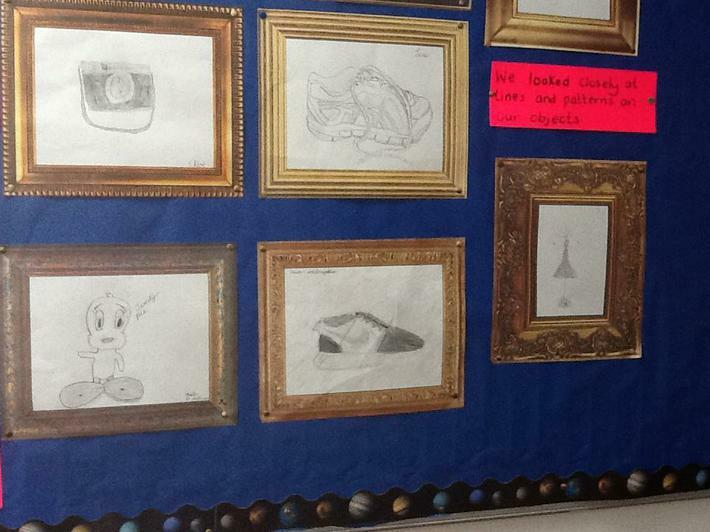 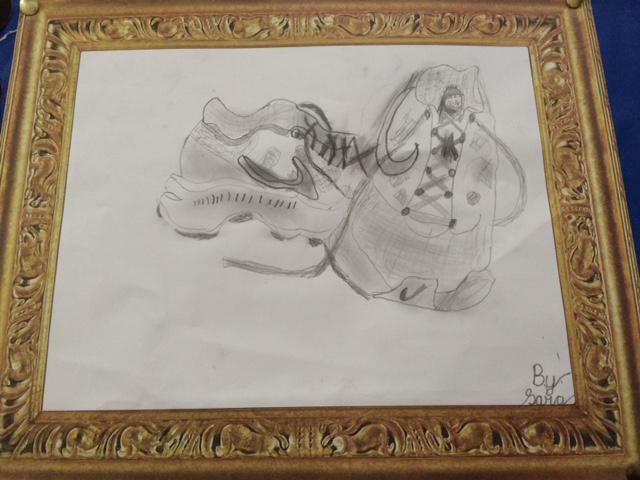 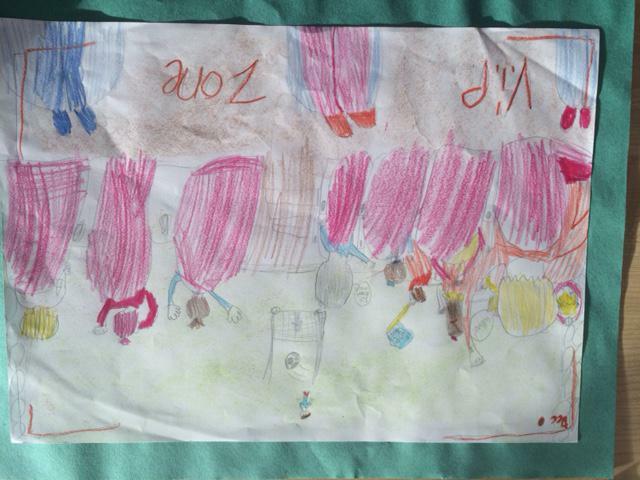 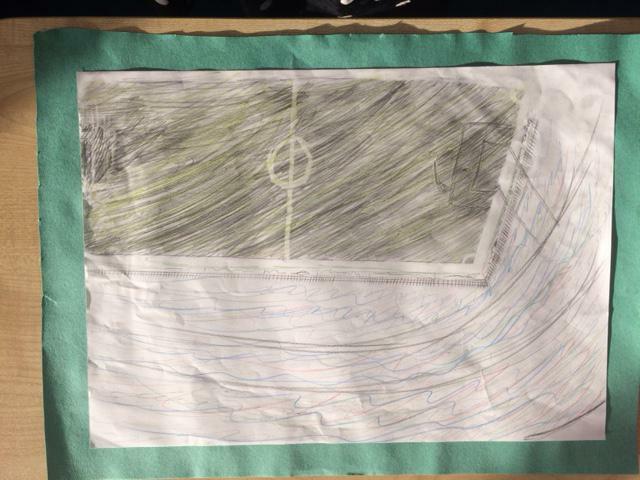 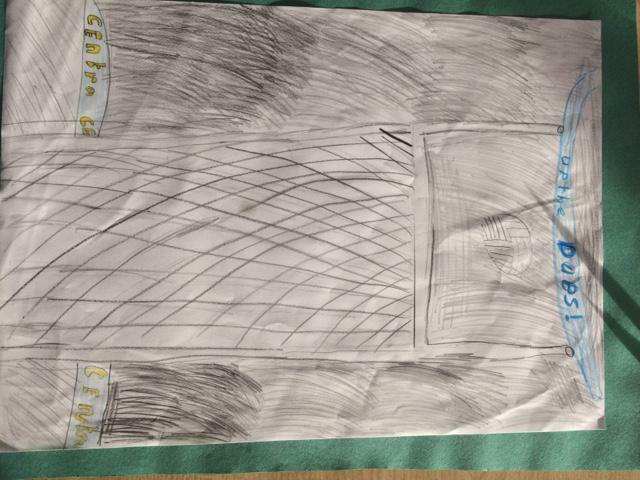 The children then had to use pencil only to sketch their version of 'All Ireland Final Day'. 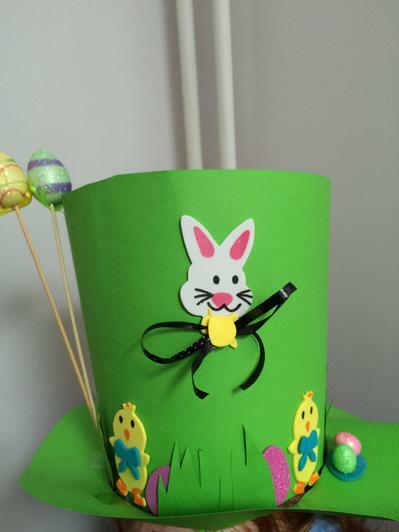 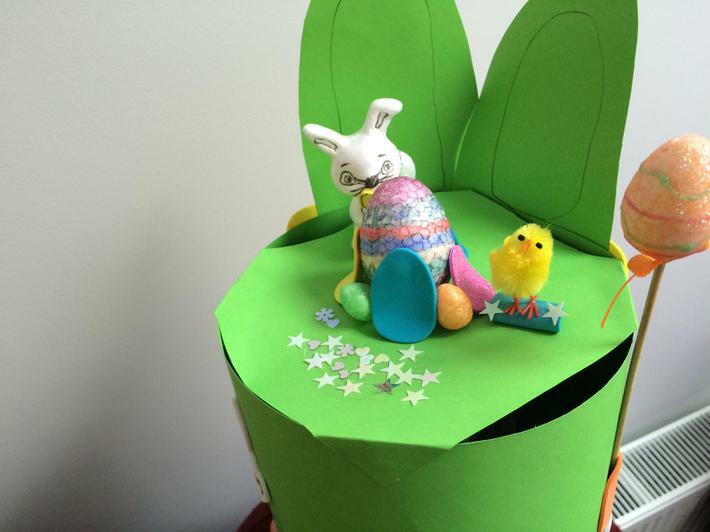 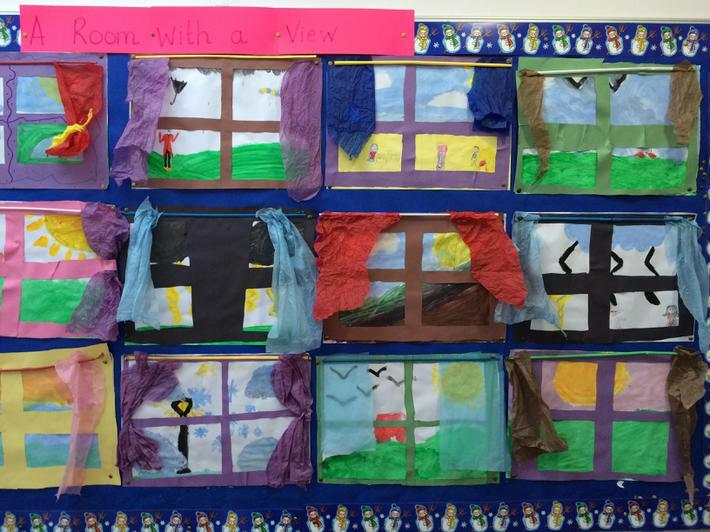 Take a look at our slideshow to see some of their wonderful designs. 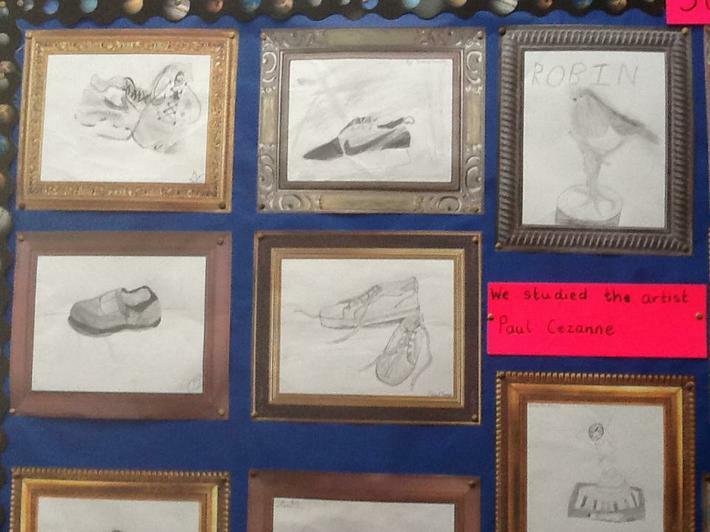 This week , we put or pencil skills to the test once more. 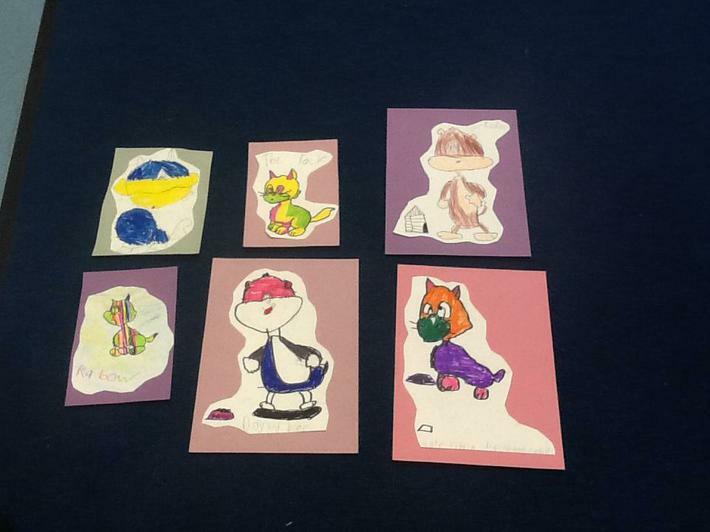 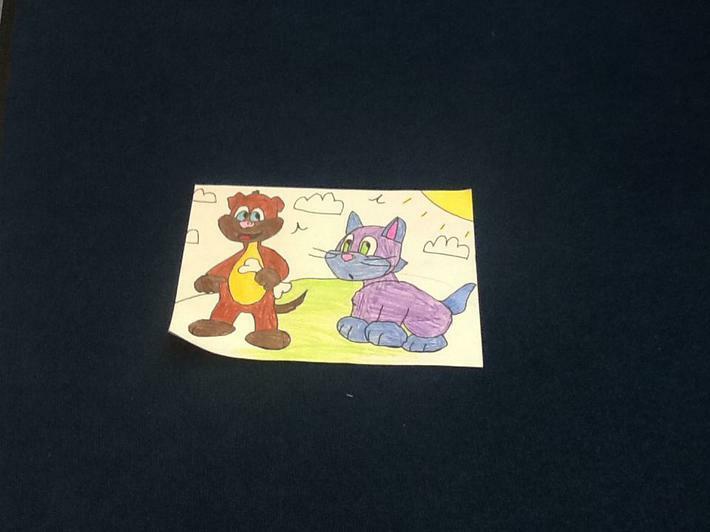 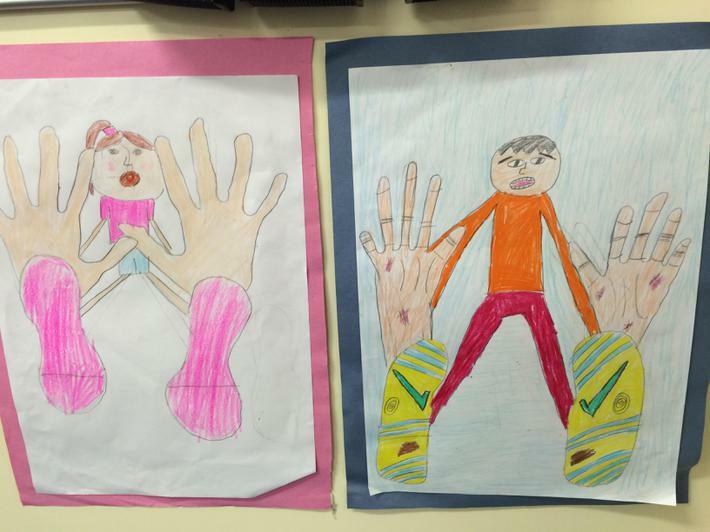 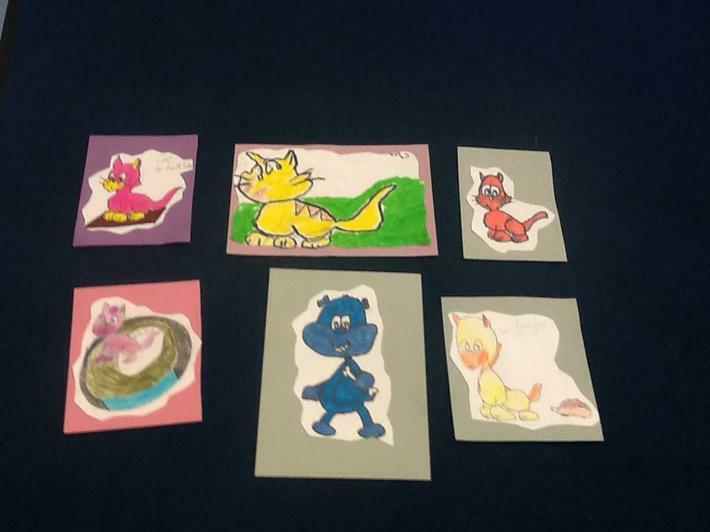 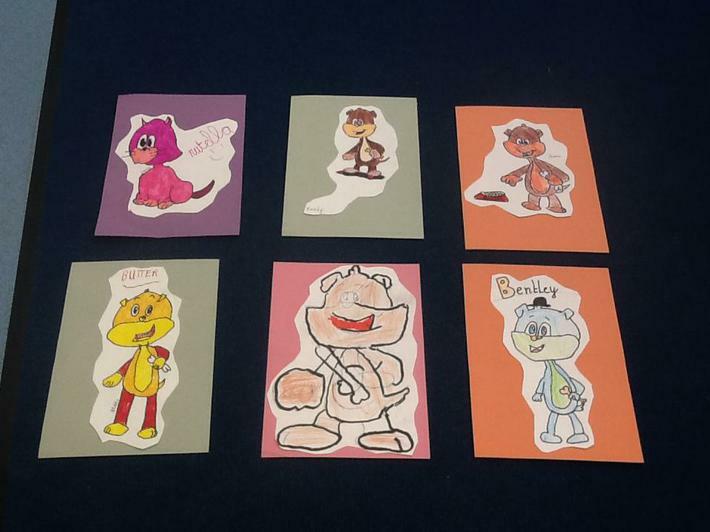 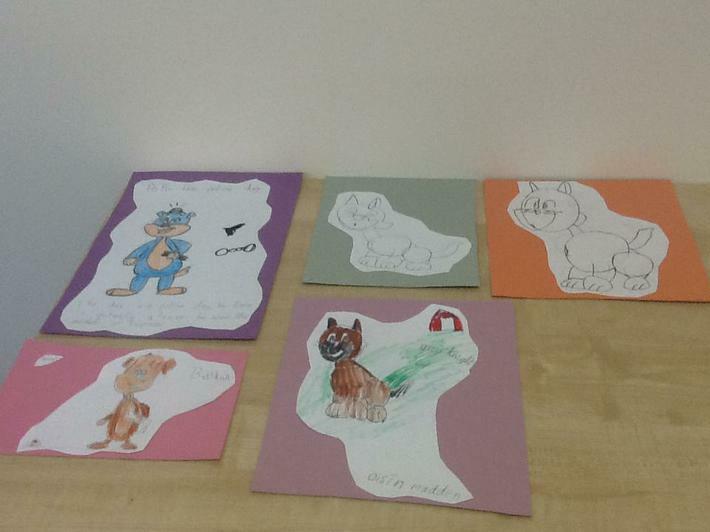 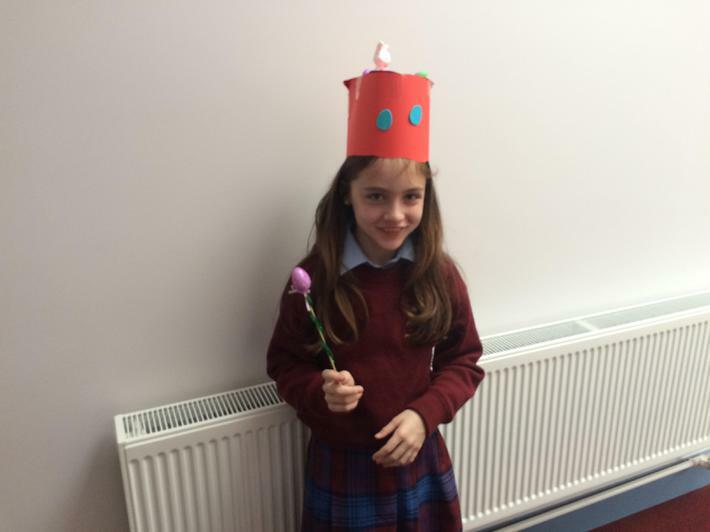 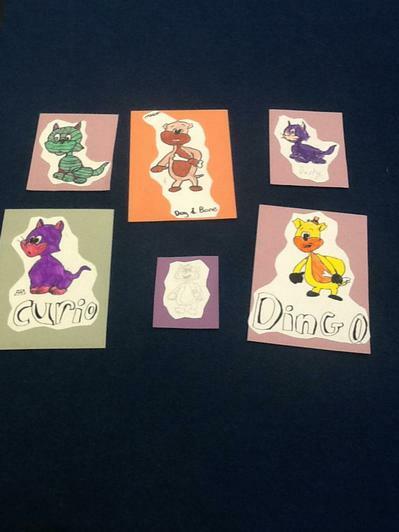 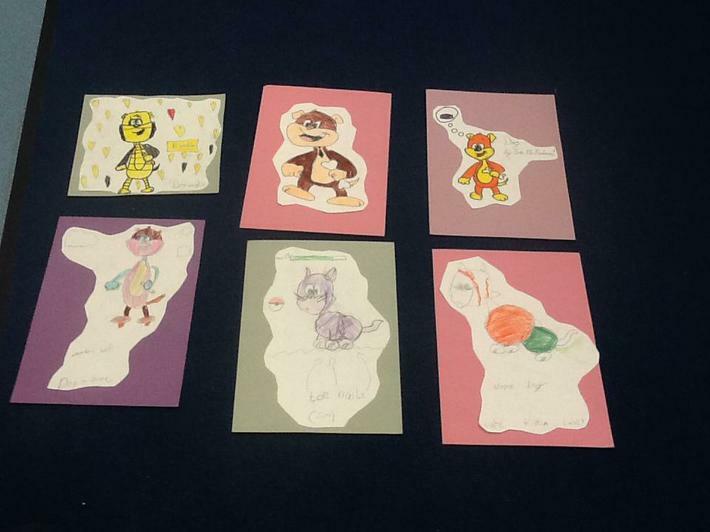 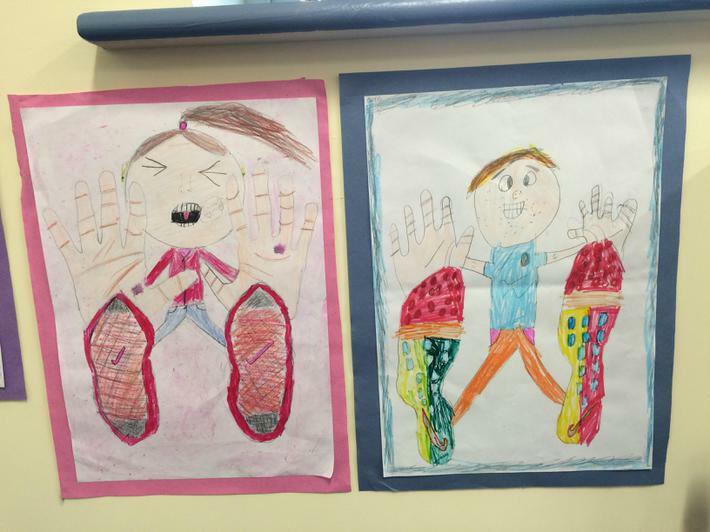 This time, we looked at 'animation' and how to create cartoon characters. 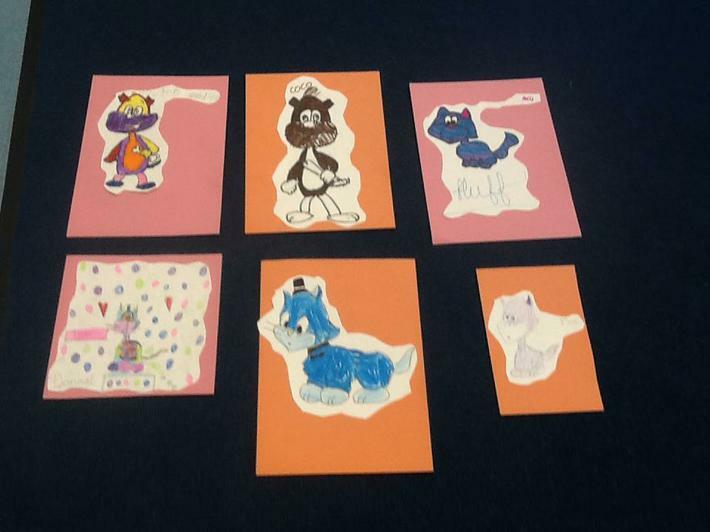 We examined the work of cartoonist 'Tina' and watched a DVD of her at work. 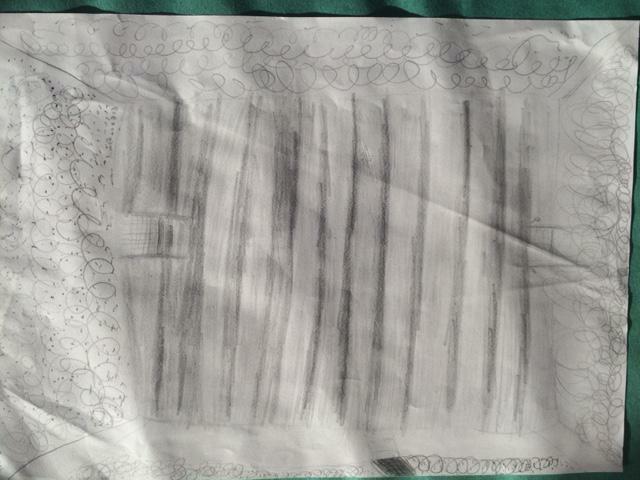 She explained to us how artists use dotted lines to create symmetry and how it is alright to use light pencil lines to guide us. 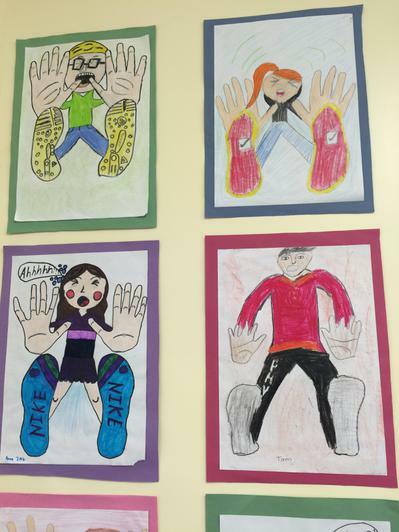 These can then be erased at a later day. 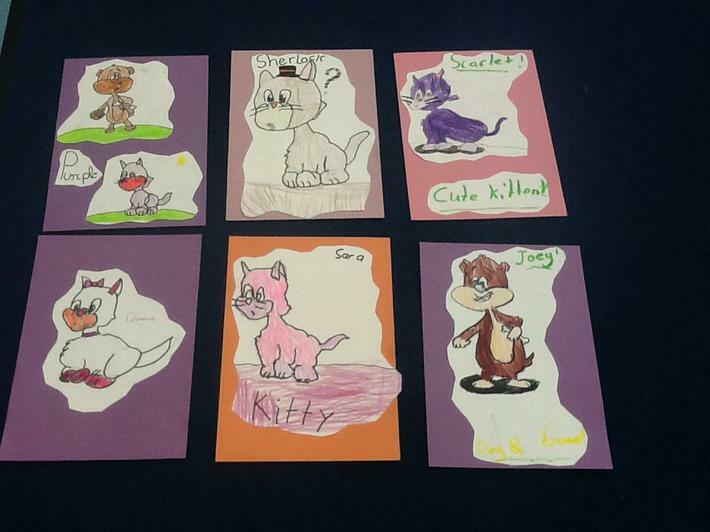 We tried to use the steps Tina taught us to create our own 'Dog with a bone' and a 'cute kitten'. 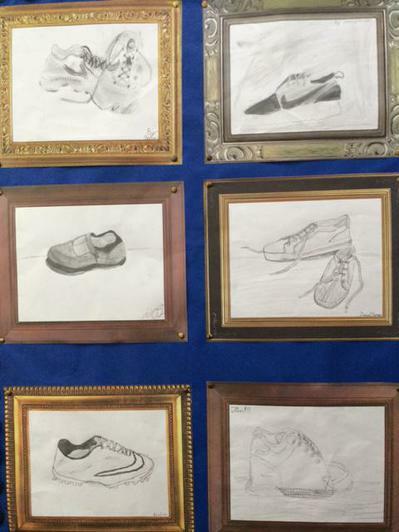 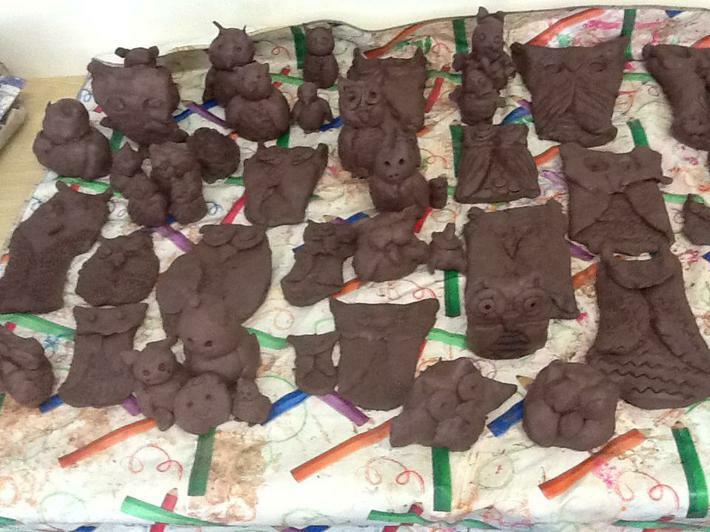 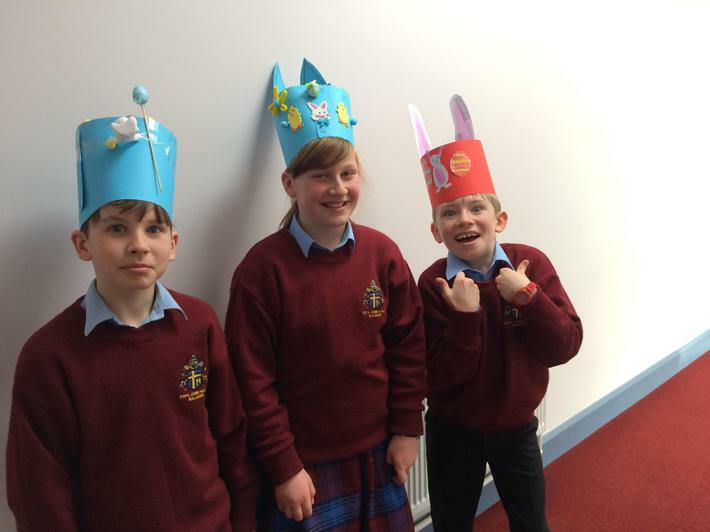 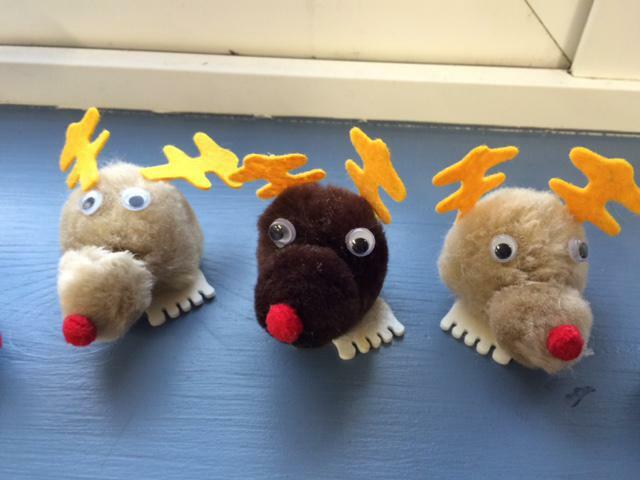 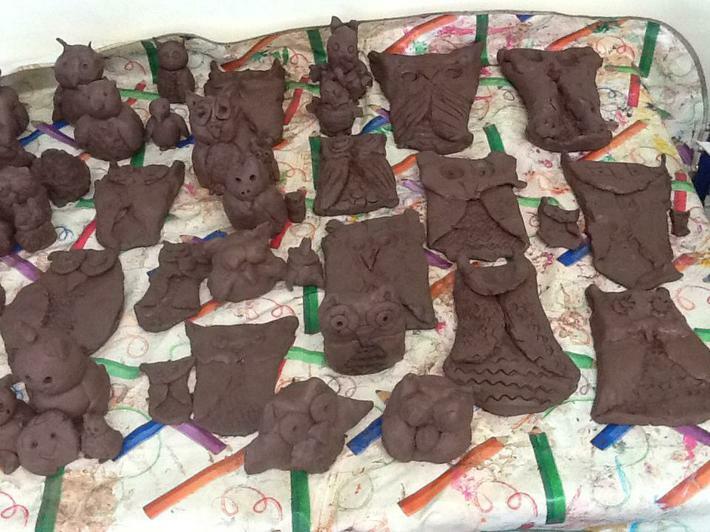 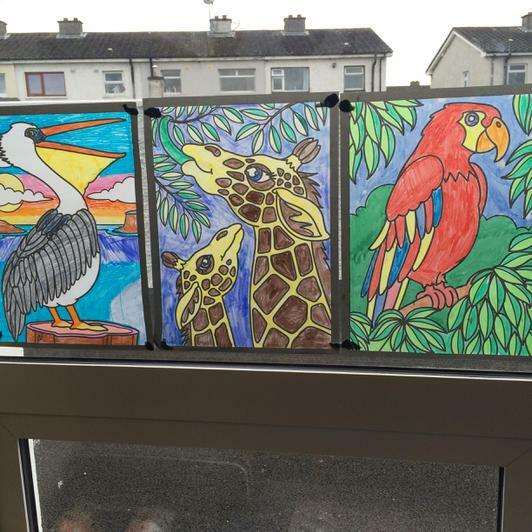 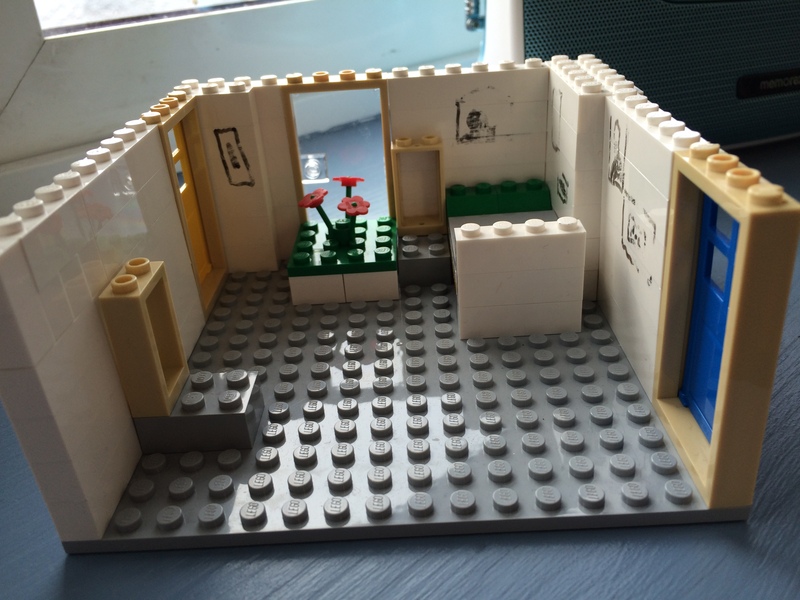 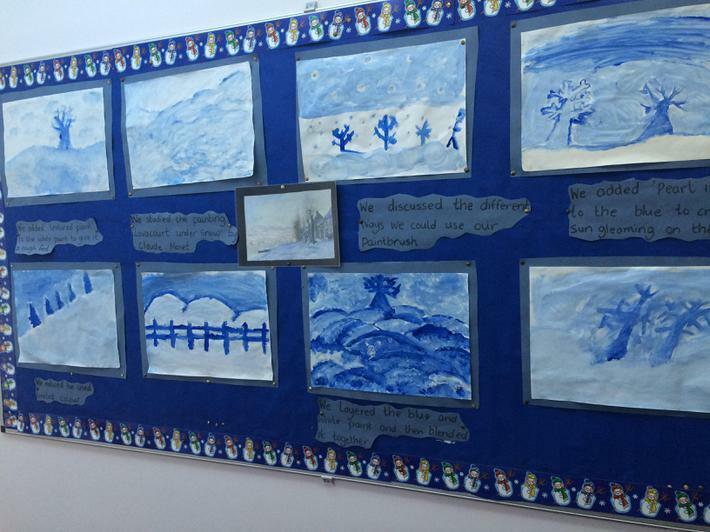 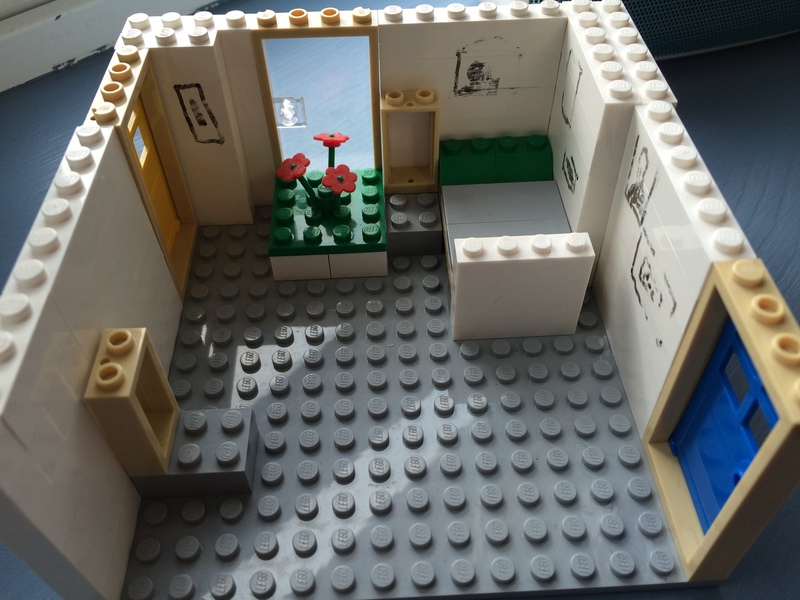 Here are some samples of our work - Thanks to our 'Blogger of the week' Shane Cahill for taking these brilliant photos on the I-Pad. 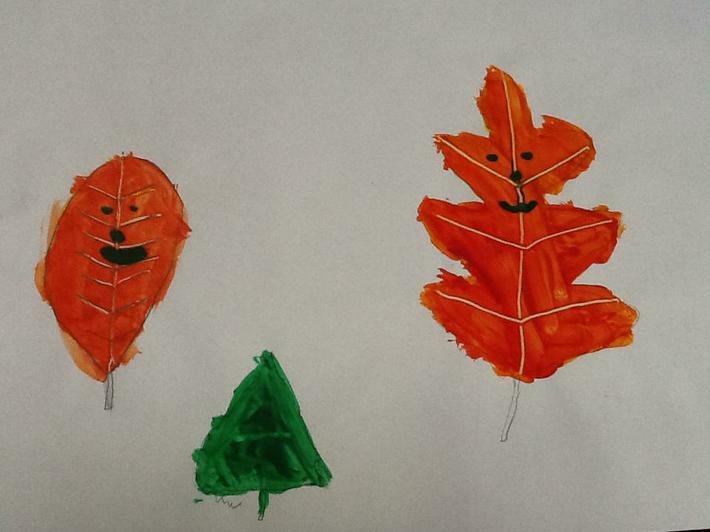 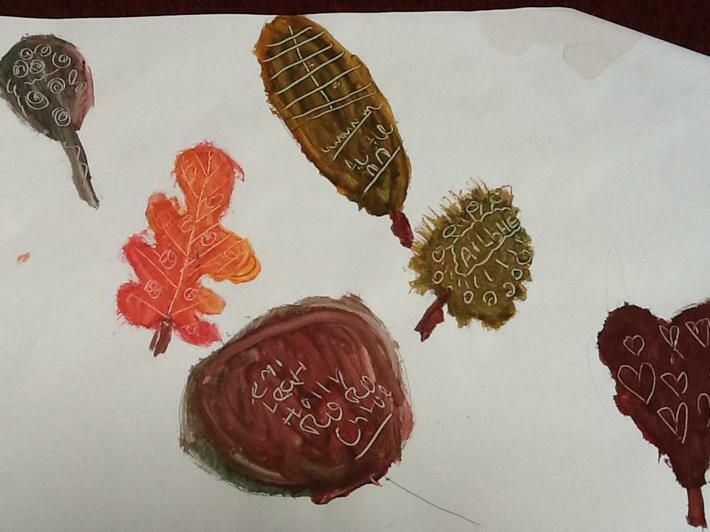 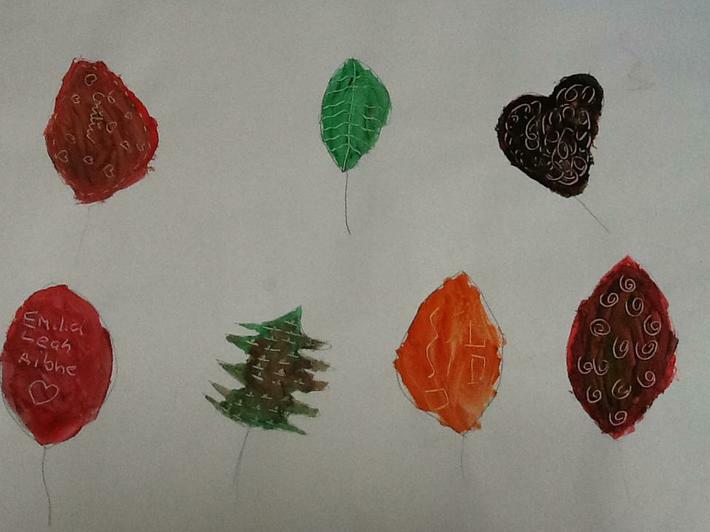 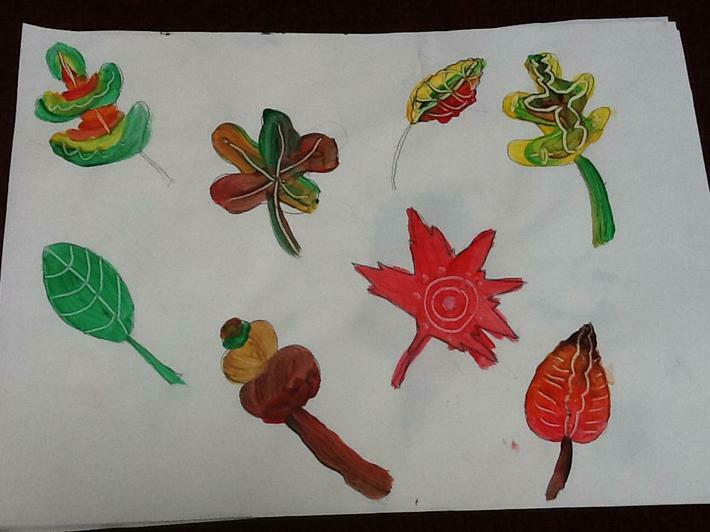 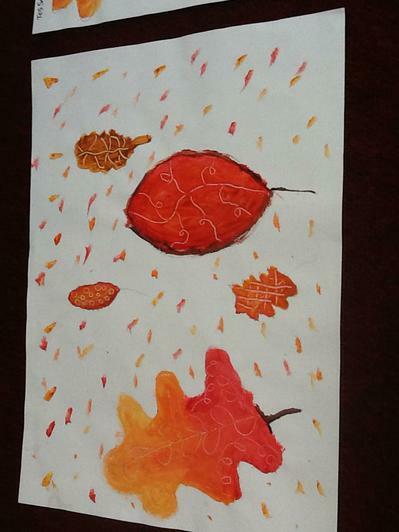 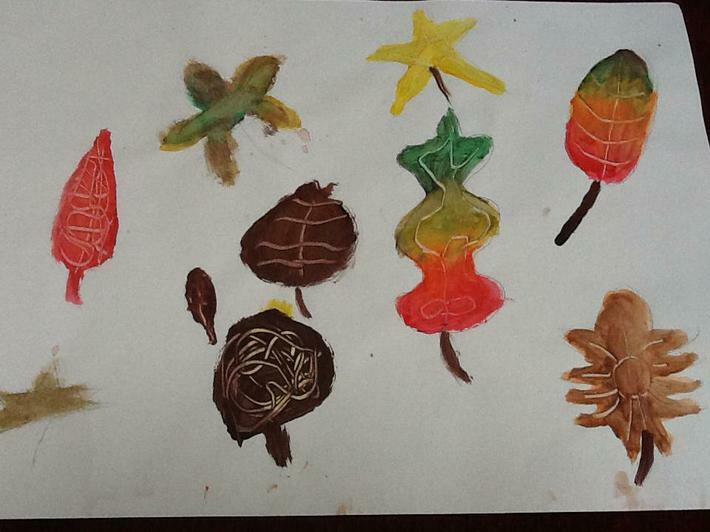 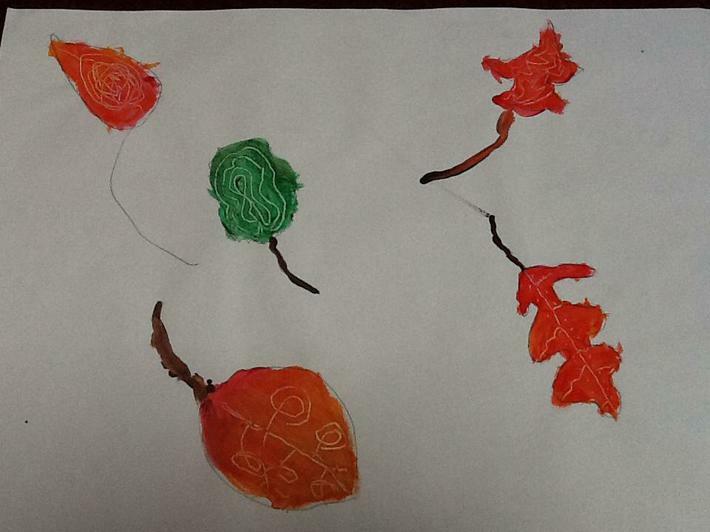 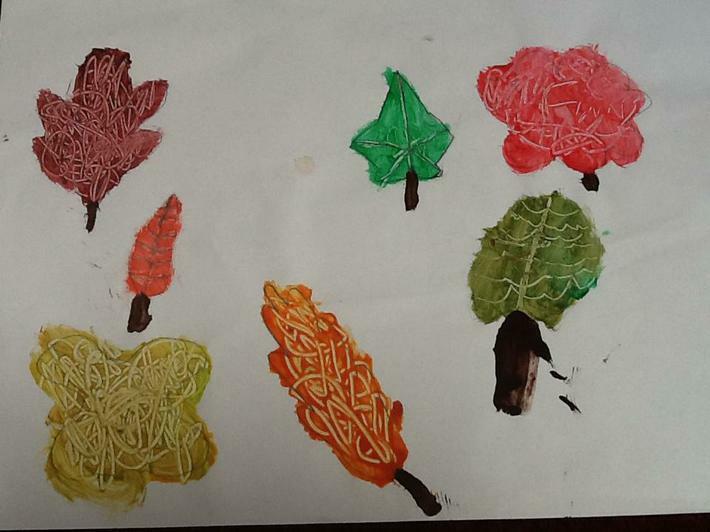 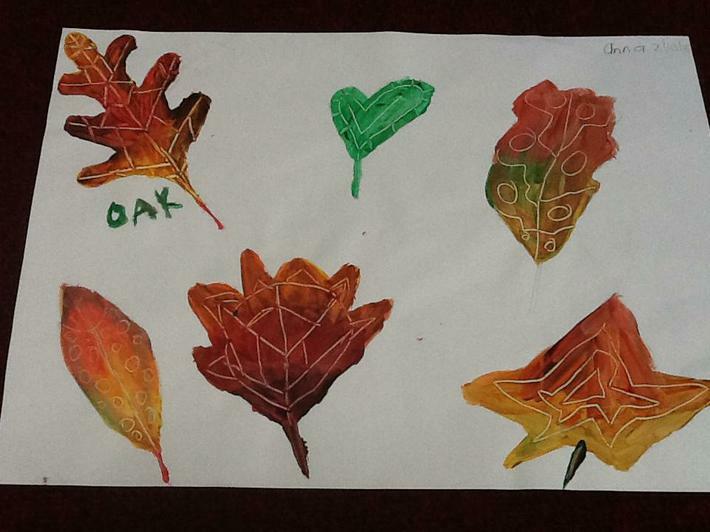 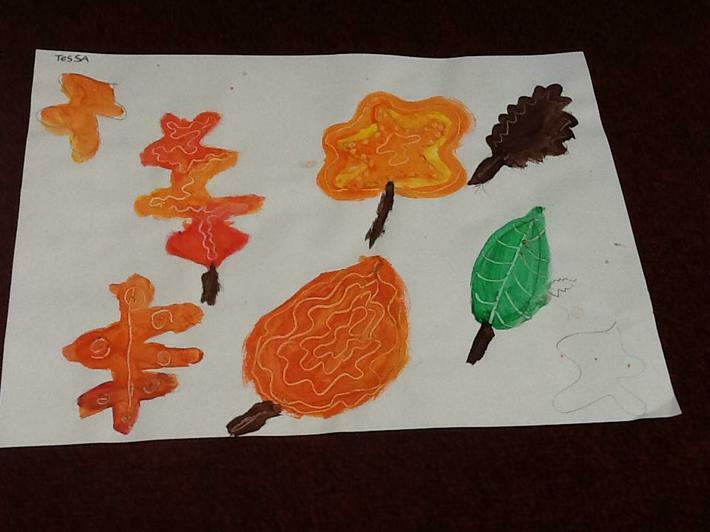 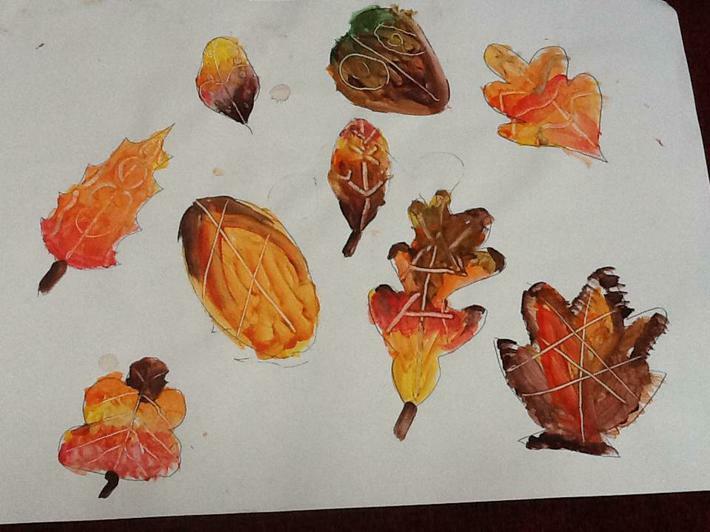 This week , Miss Meehan showed us how to create colourful Autumn leaf designs. 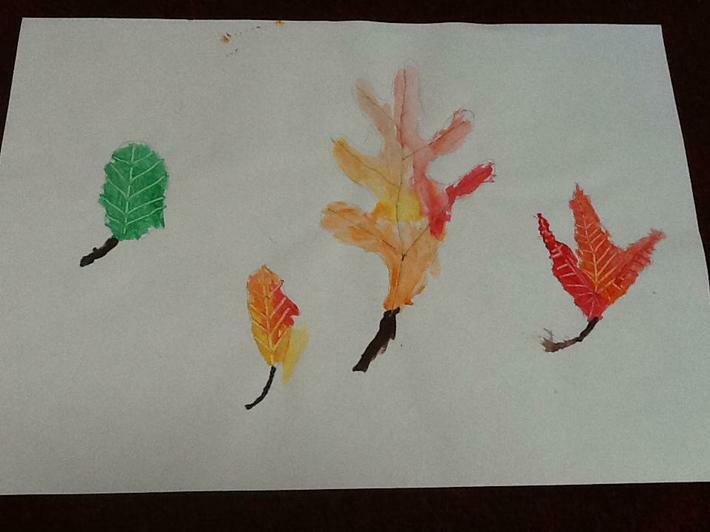 We explored the various colours we see in Autumn . 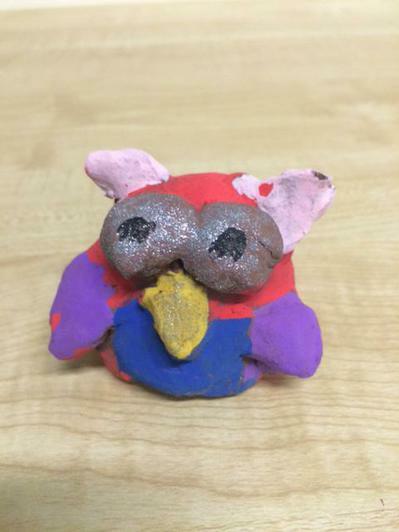 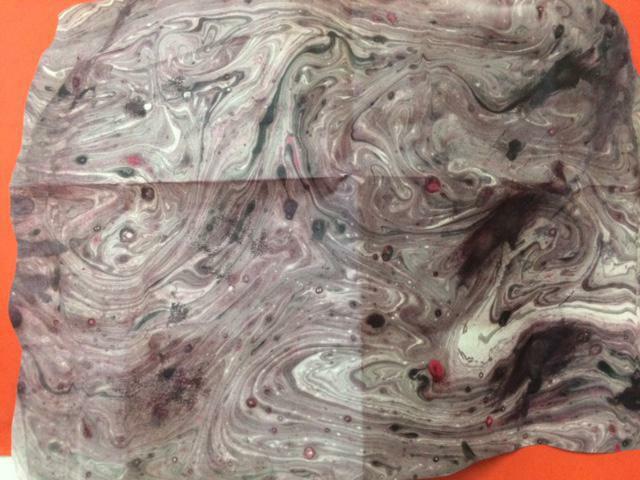 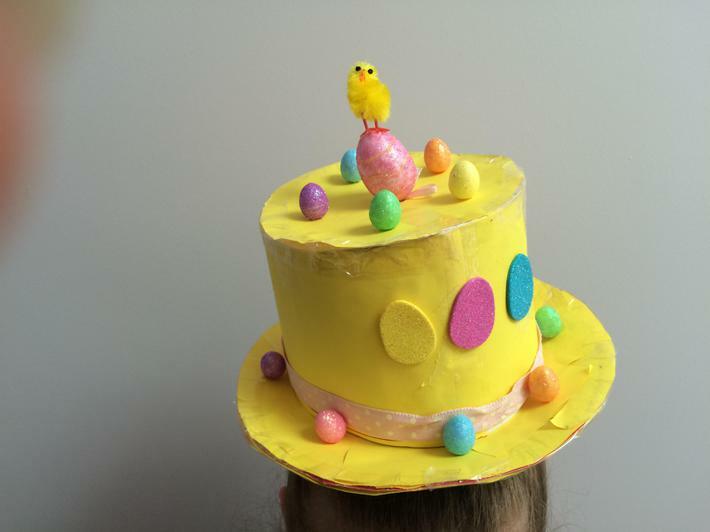 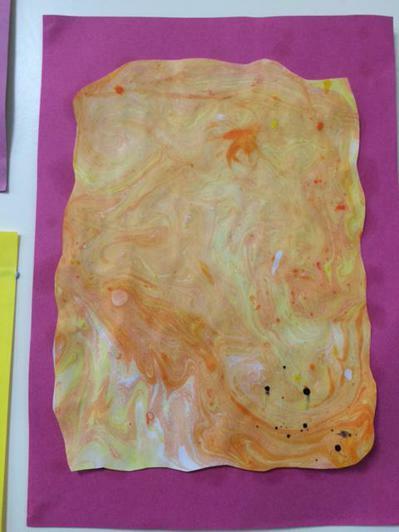 We also used a mixing technique to create the different colours we wanted. 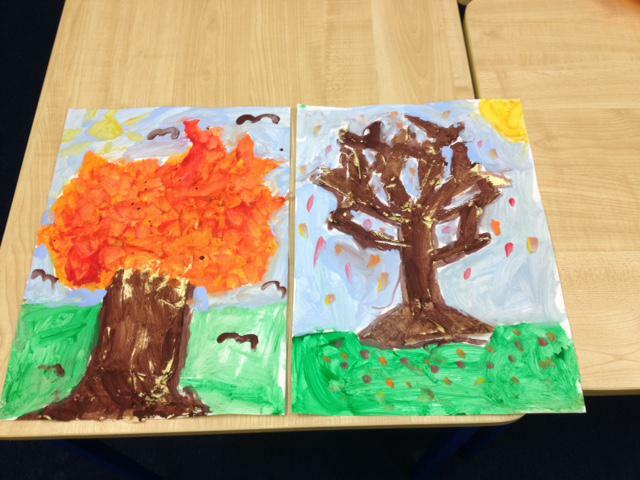 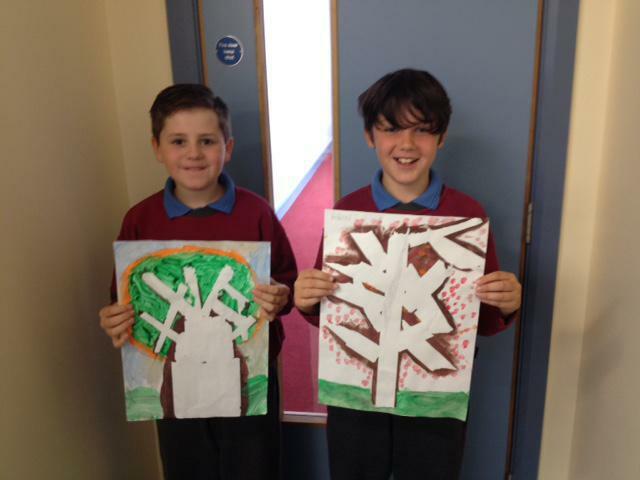 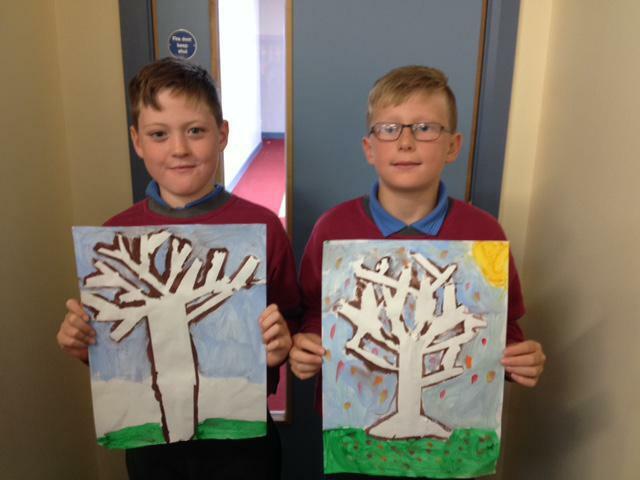 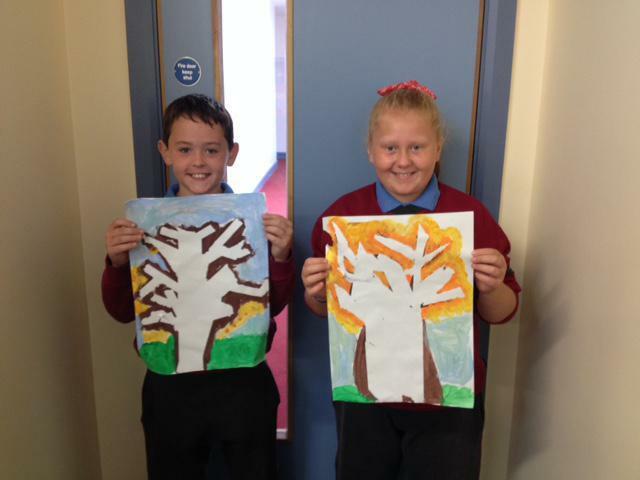 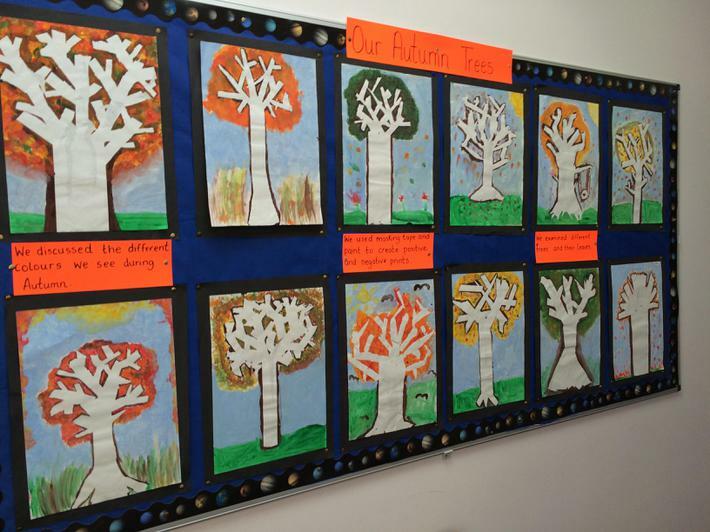 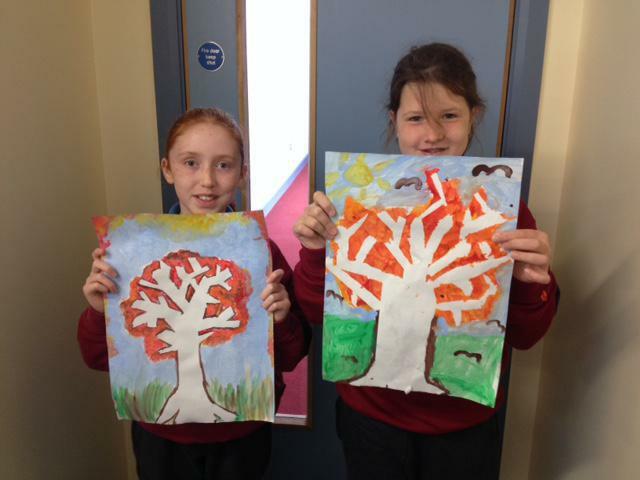 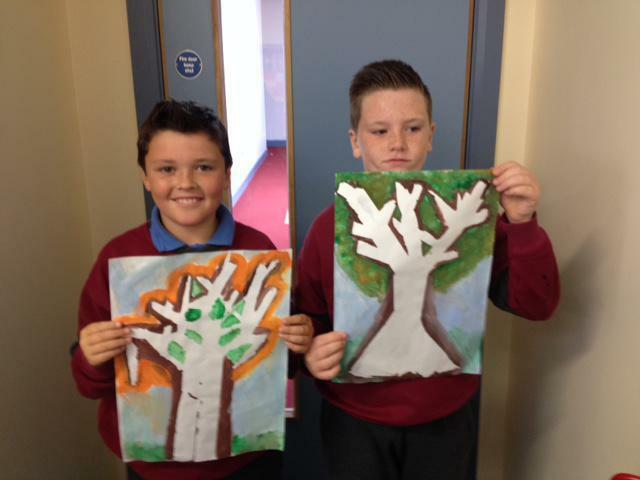 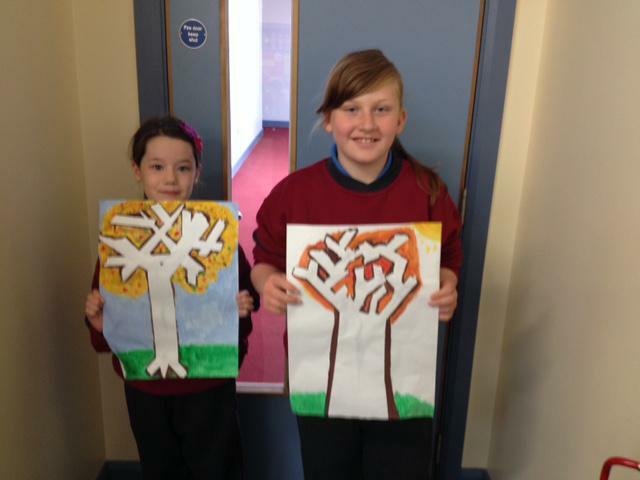 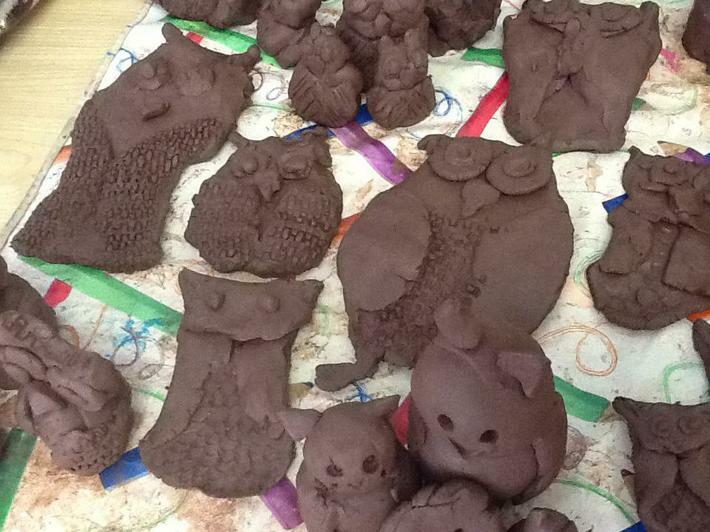 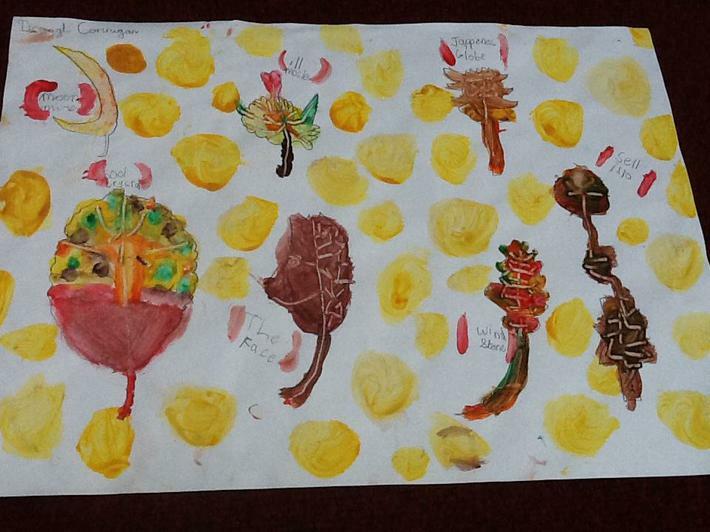 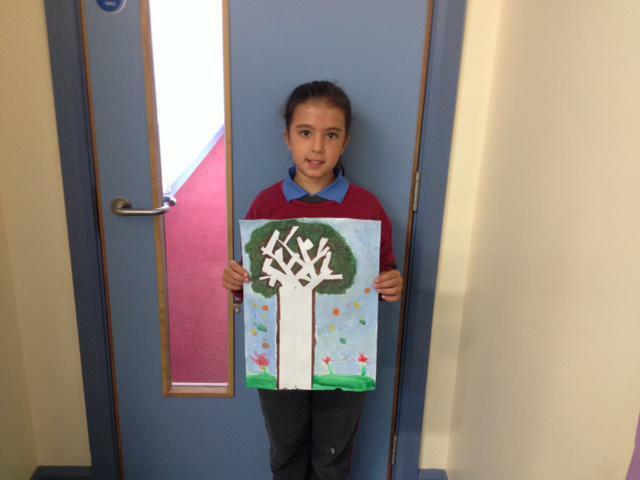 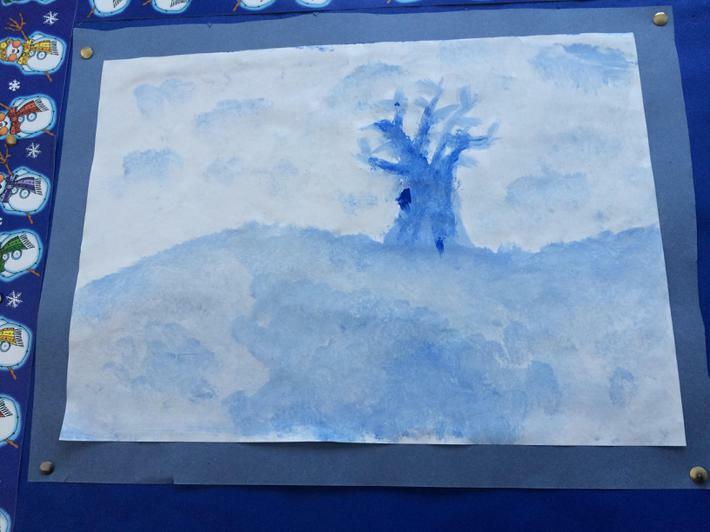 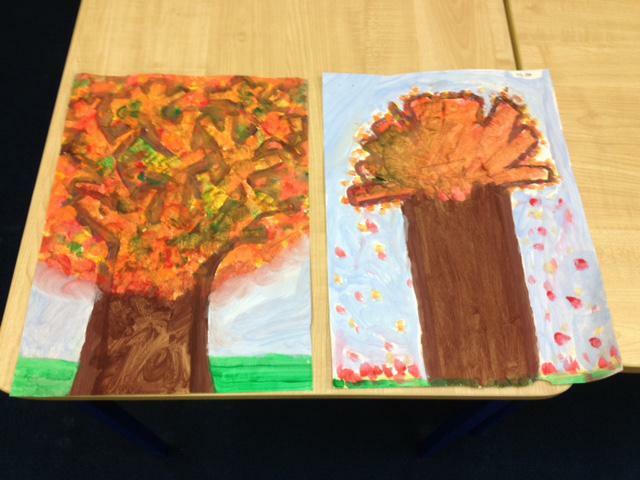 For our first art project this year, we used the theme of 'Autumn Trees' to inspire us. 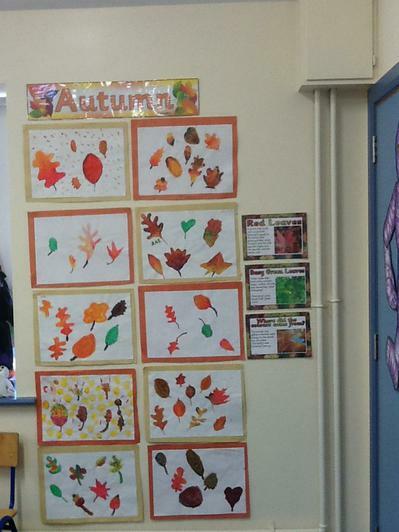 We described the colours and shapes we usually see in autumn. 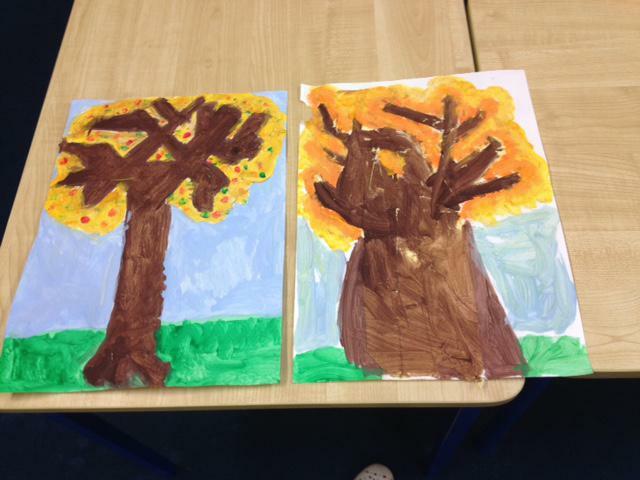 The children then used masking tape to create their tree design. 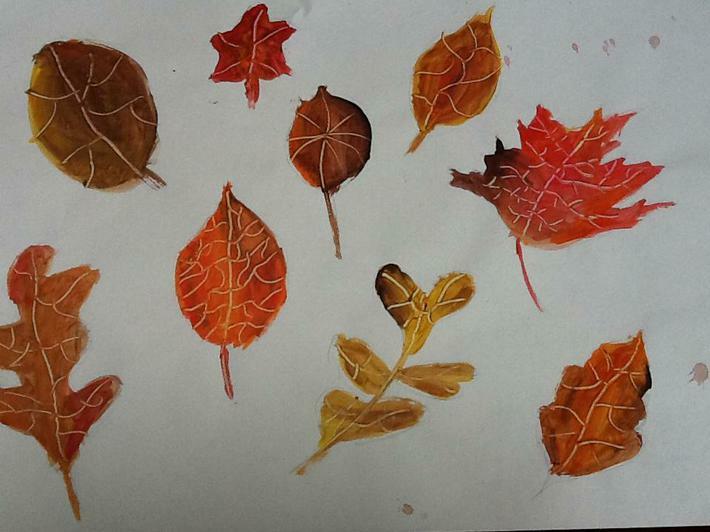 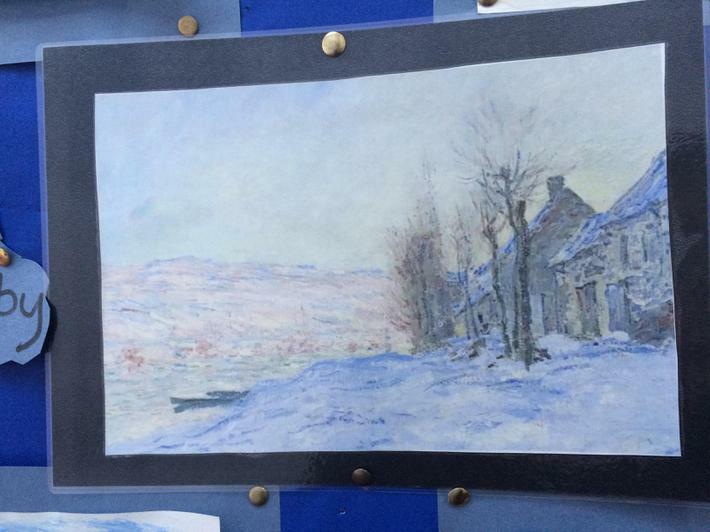 When finished they applied paint and set aside to dry. 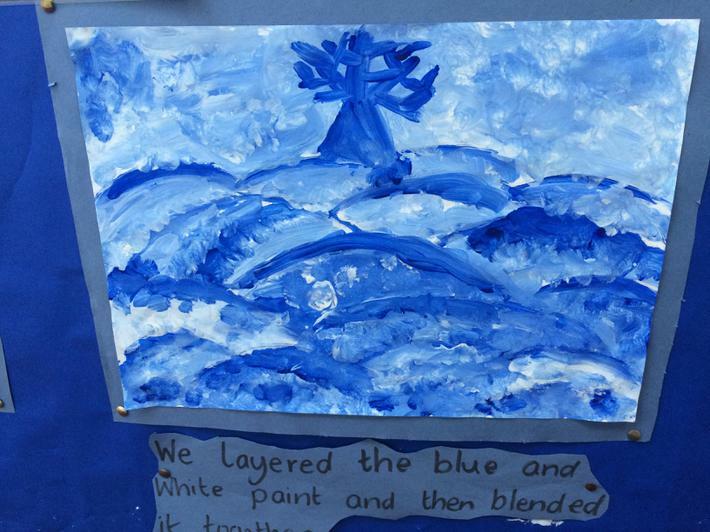 When the paint was dry the children carefully peeled off the masking tape to reveal a surprise. 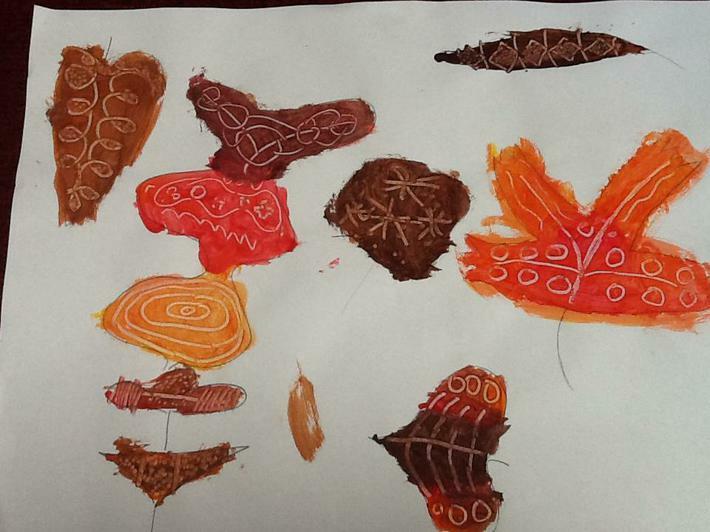 This is called 'Positive and negative shape printing'. 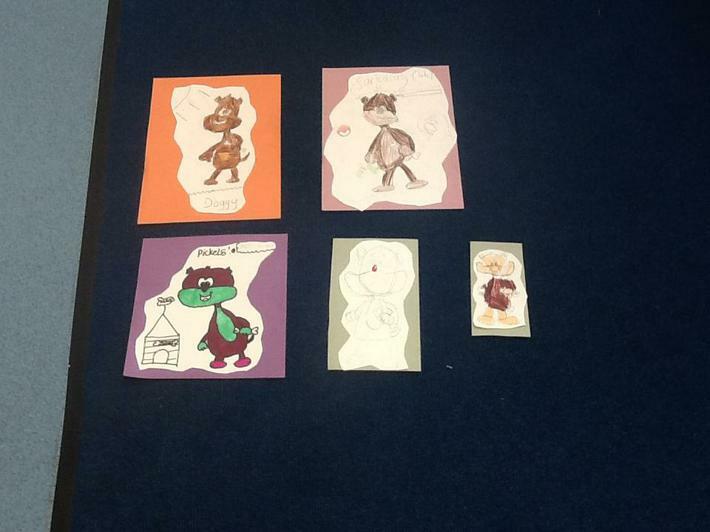 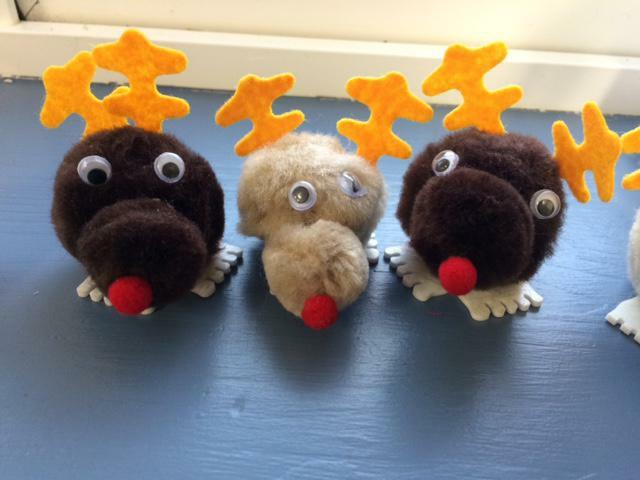 We explored the area of Fabric and Fibre by using old scraps of material and ribbon to create our own 'Mini Me's. 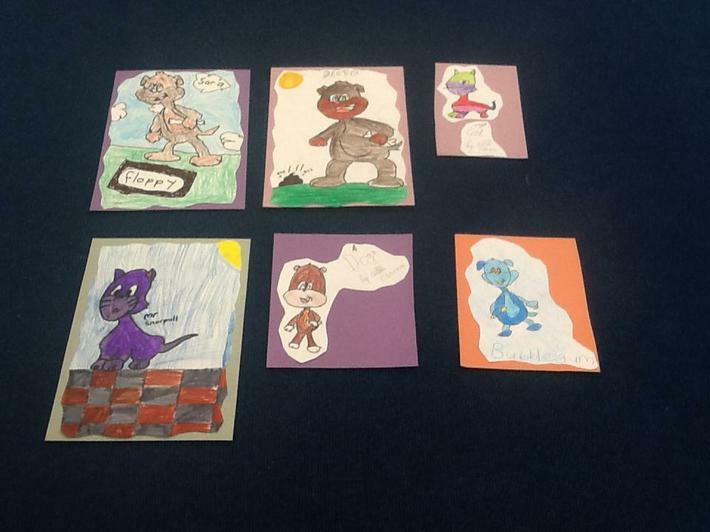 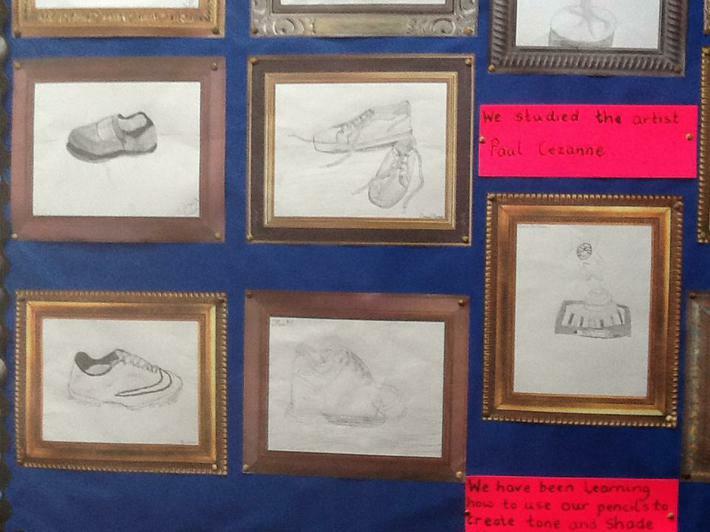 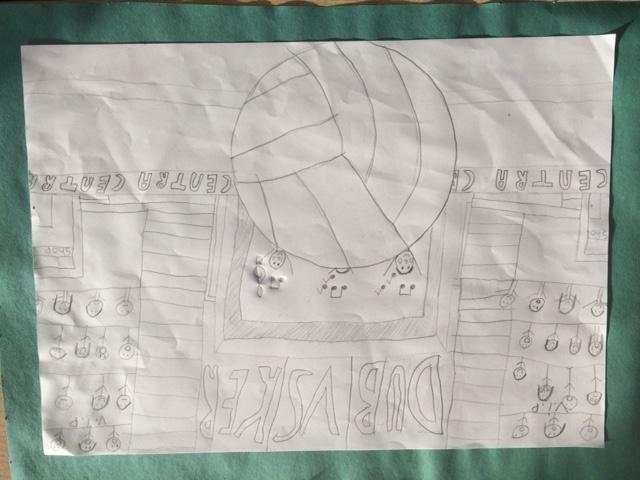 We used the theme of Sport and focused on creating G.A.A. 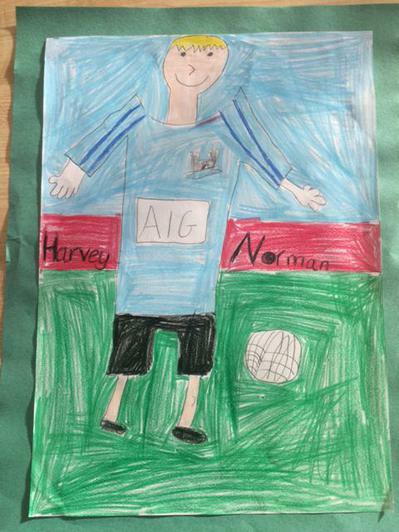 footballers/hurlers to celebrate the Dublin vs Kerry Match. 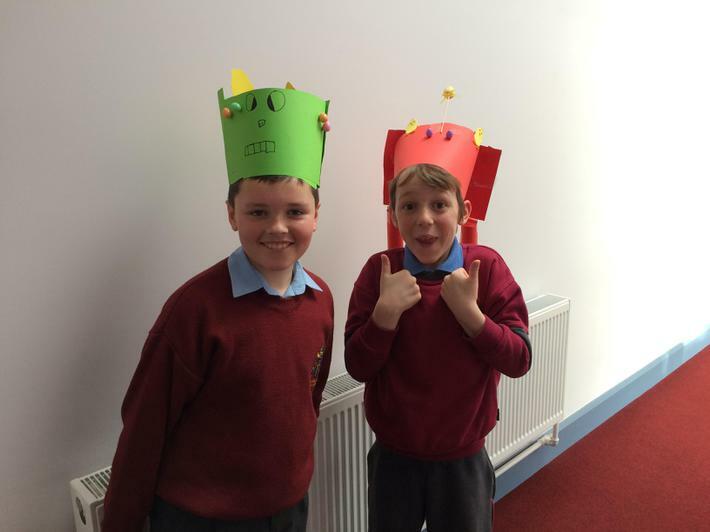 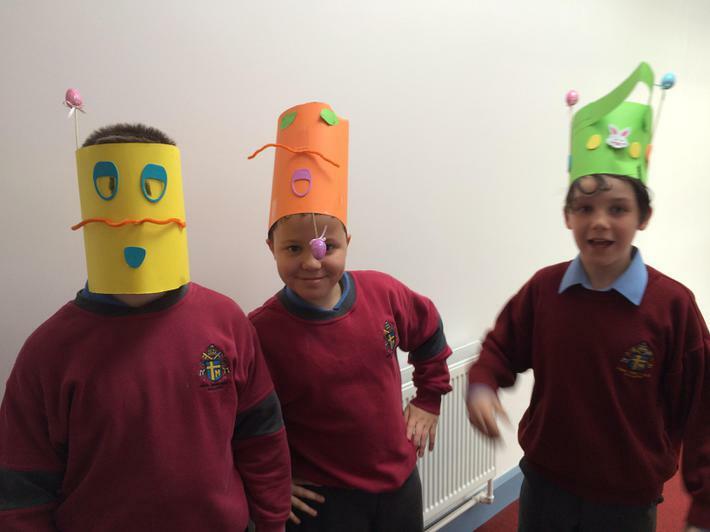 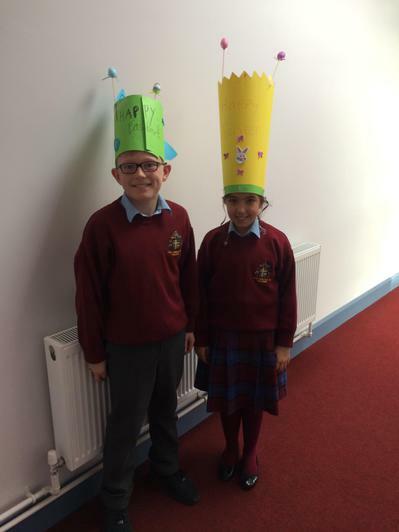 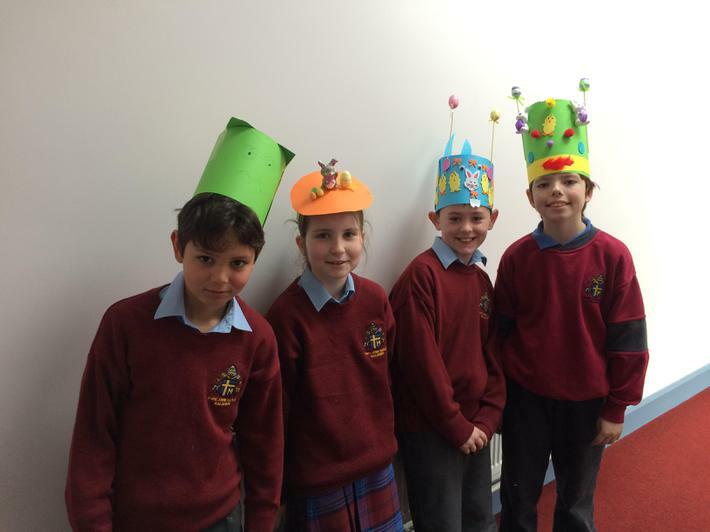 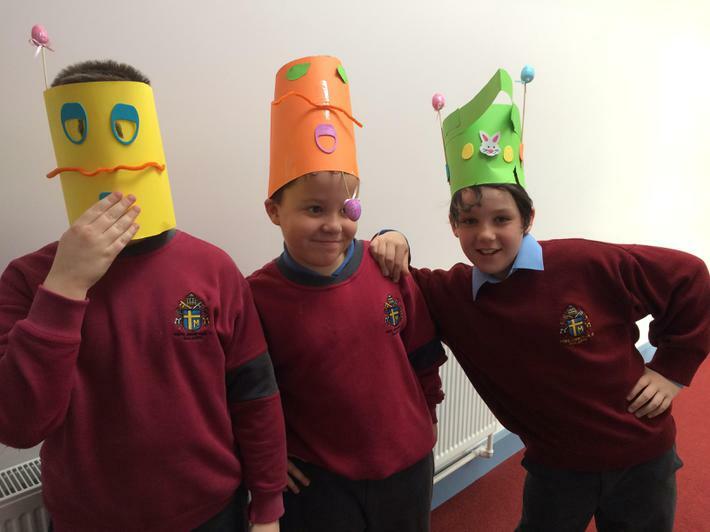 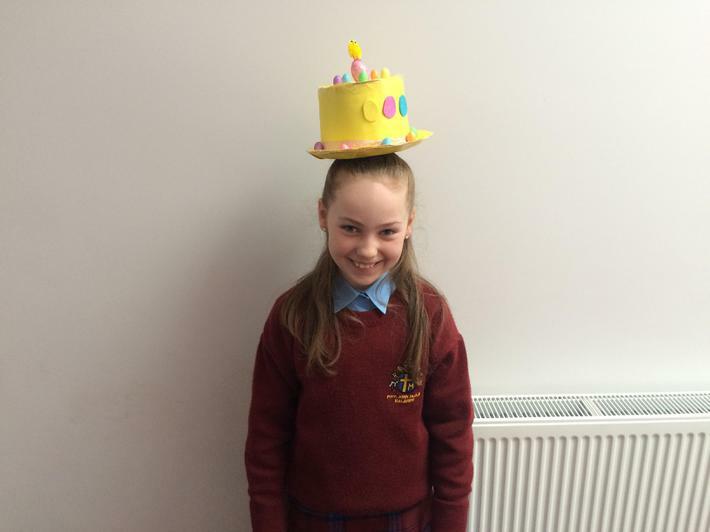 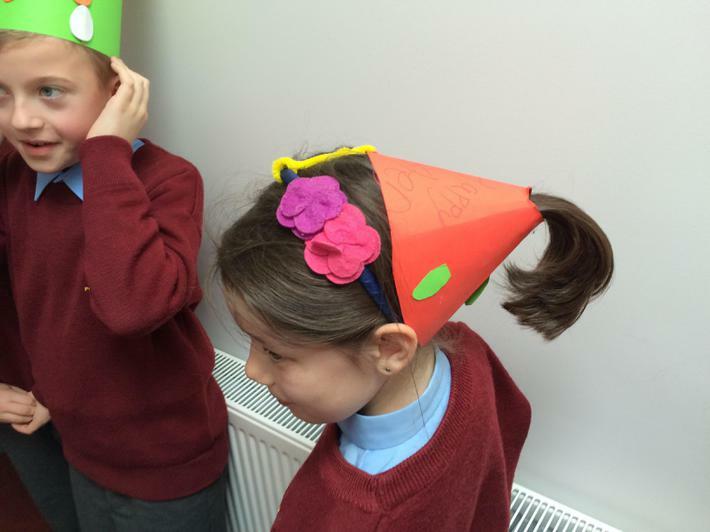 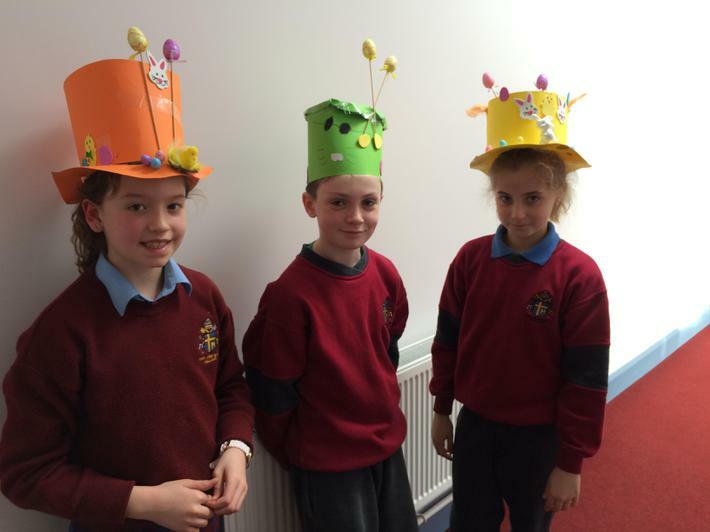 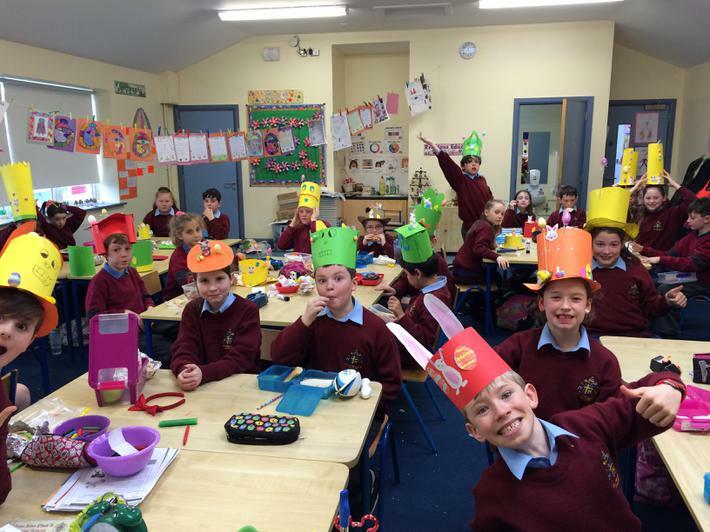 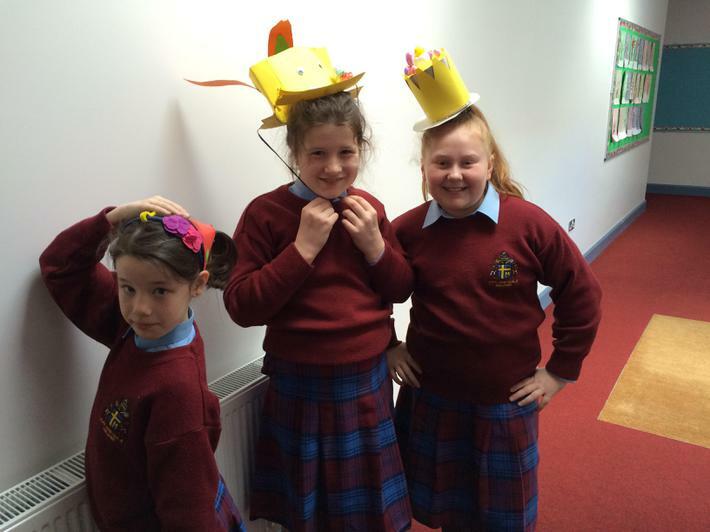 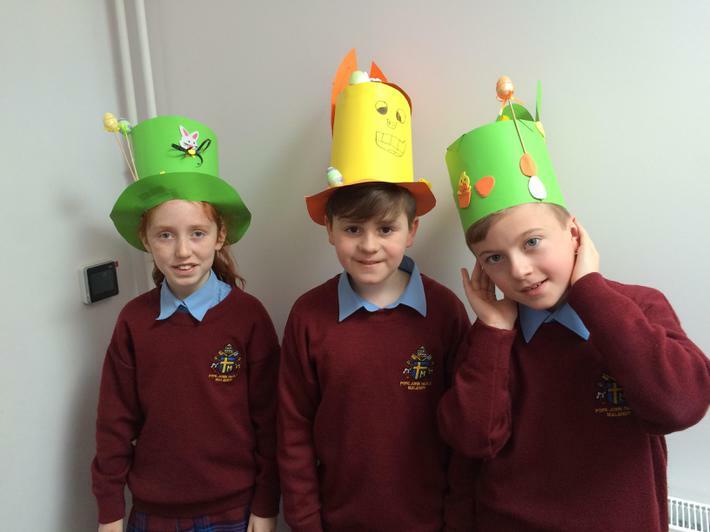 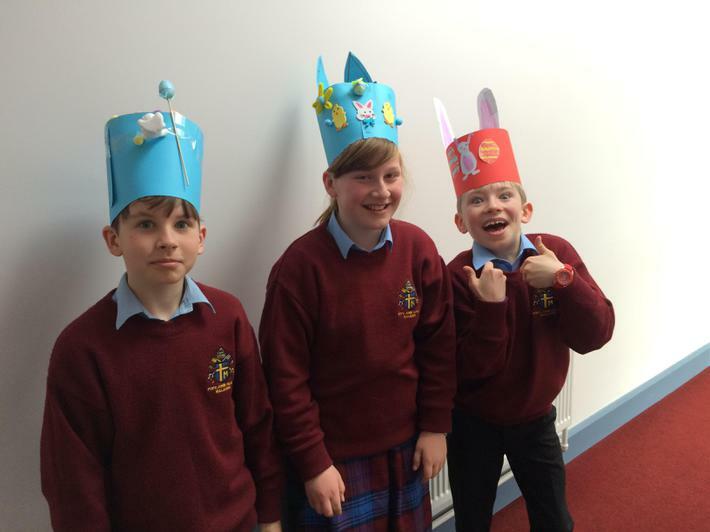 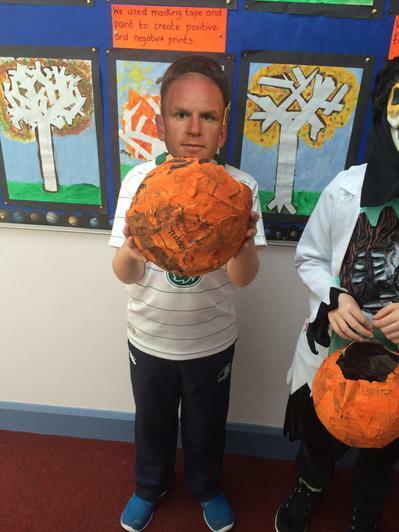 Other children decided to create the Irish Rugby Team to honour the Rugby World Cup. 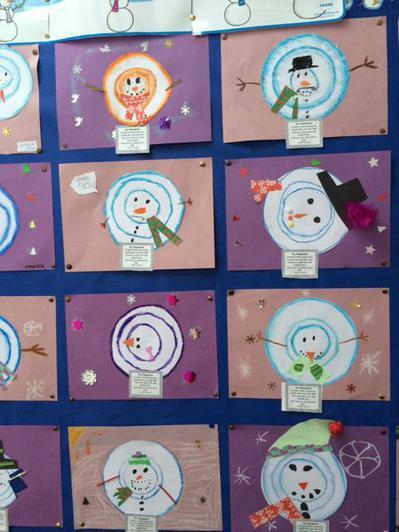 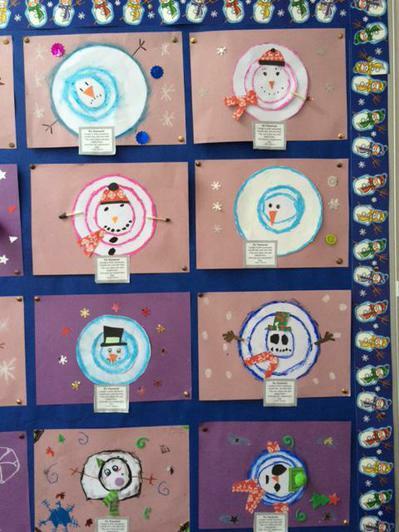 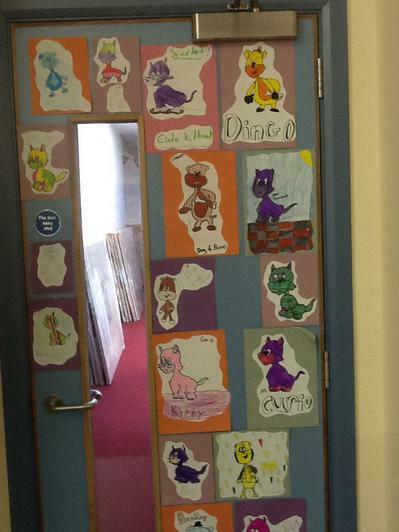 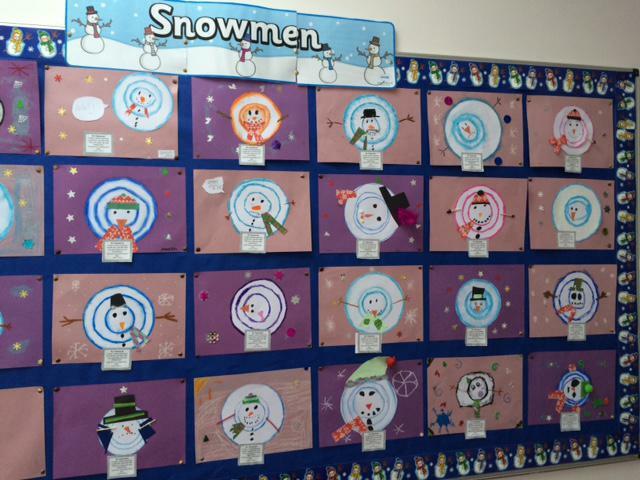 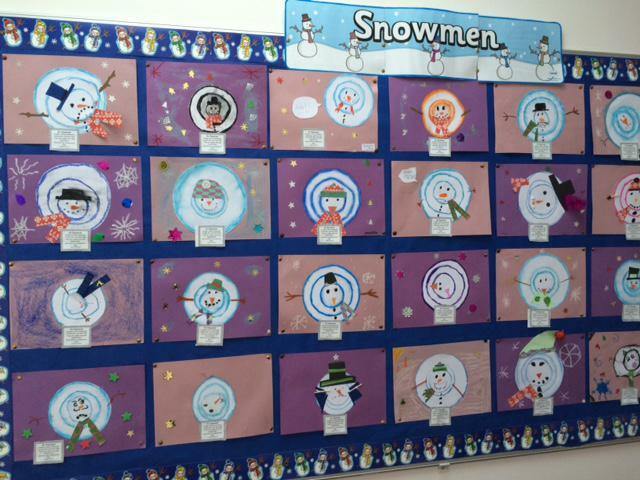 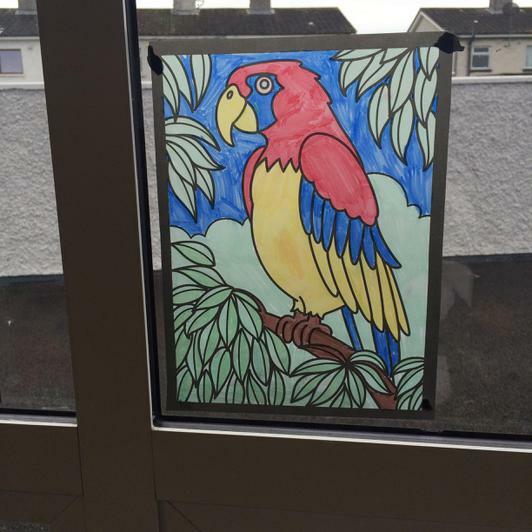 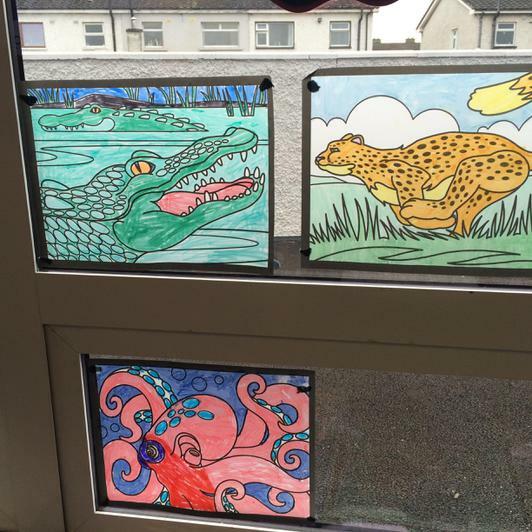 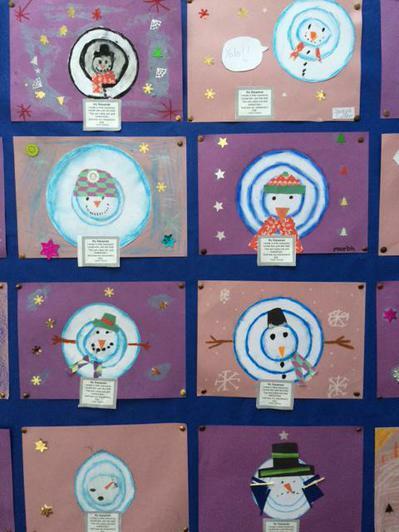 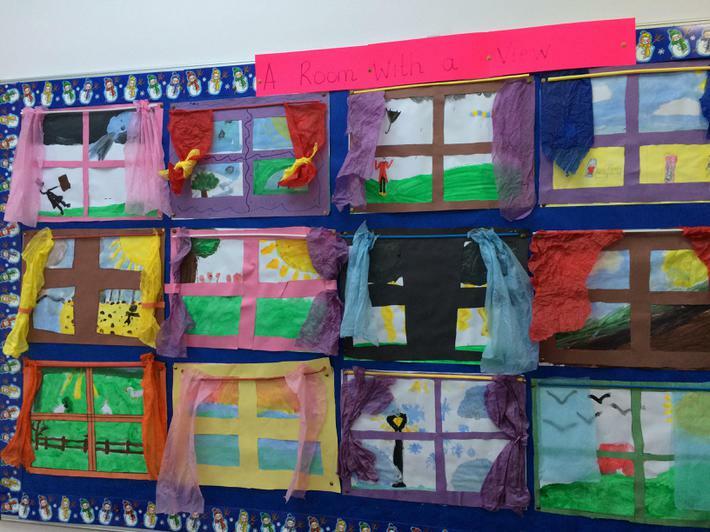 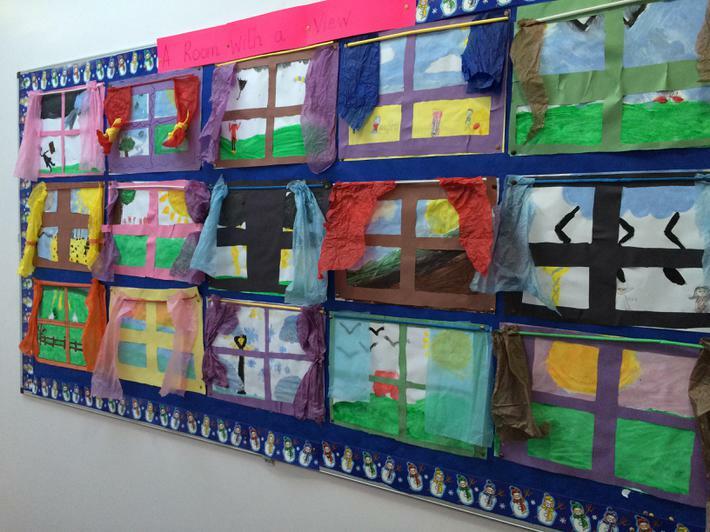 We have displayed our 'Mini Mes' on our class window.